The one time signs are helpful is when you are very discouraged, and in need of an encouraging word. Our fellow man sometimes can be pathetic, when it comes to encouraging us. Even the people trying to be kind will propose some ridiculous diet or regime of exercise or ask you to contort yourself into yoga poses, when all you really need is a kindly glance. In such situations helpful friends can be downright depressing, and it is then that some sign, some bluebird landing on a nearby branch and singing, can be like a rope to a drowning swimmer. Of course, if I became dependent on such signs I’d never get going in the morning. I have enough trouble getting started as it is, and if I needed a good omen before I proceeded I’d likely never get out of bed. There was actually a time when I was young that I did demand life made sense, before I’d proceed, and I wound up very nearly paralyzed. I was deeply involved in the study of psychology, and at the slightest sign my behavior wasn’t adult I’d stop everything and analyse my every twitch. It was a good way to avoid getting a real job, and also acquainted me with the wonders of the subconscious, however in the end I had to get a real job even if life didn’t make sense. At one point, before I got a real job, I was studying my dreams from every angle I could think of, and had a wonderful revelation. When you study dreams you, in a sense, make every action and every object within the dream be a symbol, and thus a sign. For example, if there is a road in the dream, it may symbolize “being-walked-upon”, (and you might even burst into tears when you have the insight that you feel trodden upon). The problem is that, before you get the first dream figured out, you tend to get tired and go to sleep and have another one. Studying all the symbols can get to be exhausting, and there is definitely no time left to look for a real job. I had managed to arrange my life, as a young poet, in a way that allowed me to study dreams for days on end. Now I cringe, thinking of all the wasted time, but some good did come out of all the study. For one thing, I don’t waste time so much. I also suppose I understand the subconscious to some degree. However the revelation I wish to describe came after I had an overdose of dream-study, and decided I needed some fresh air, and went for a walk. Because I’d been spending so much time analyzing objects in dreams, I was in the habit, and found myself analyzing the real objects in the real world as if they were symbols in a dream. I wasn’t trying to do it. In fact I was trying to stop. Yet I couldn’t. There wasn’t a leaf that fell that didn’t have some symbolic meaning. Maybe I didn’t know what the meaning was, but the meaning was there, as loud as thunder. I had wanted life to make sense, but now there was too much meaning, in every twig, in every birdsong, in every face in every passing car. It was a glorious and wonderful revelation, but I felt over my head and wanted it to stop. When it wouldn’t I went and bought a six pack of beer and got ossified, not to get high but rather to come back to earth. Then, when I awoke the next morning with a headache, I wondered why I had run away from the revelation. It was largely gone, though enough lingered to reassure me that life does make sense. While I don’t scoff at those who seek to read things, I don’t have the time to follow them. Knowing the future doesn’t matter as much as how you behave when it gets here. The only time I adjust my behavior due to someone seeing the future is when I hear a storm may come, in a weather forecast, (and even then the forecast is often wrong. Also, these days, it is often absurdly sensationalized). Rather than attempting to figure the Creator out, and know what He is up to, I tend to rest assured He knows what He is doing, even if I don’t particularly like it. This seems to open my eyes to beauty I’d otherwise miss. I don’t particularly like cleaning up after a snowstorm, but that doesn’t mean I can’t lean on my shovel and admire the view. 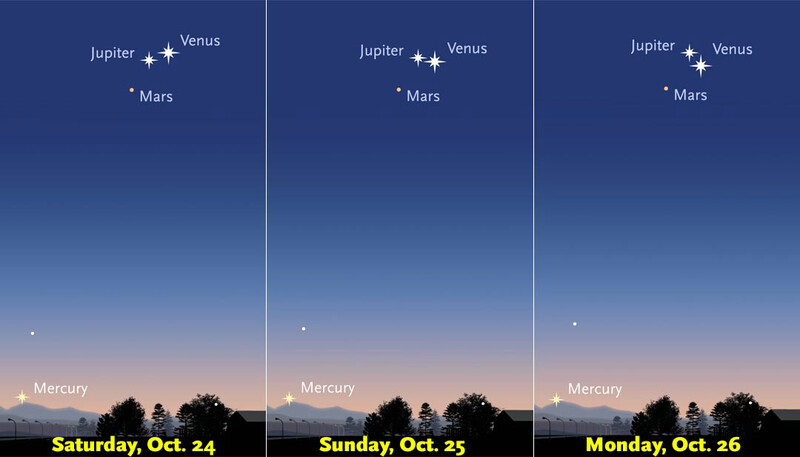 In this manner I’m able to admire the recent eclipse of the full moon, and the current conjunction of Venus, Jupiter and Mars in the morning sky, without getting all worked up and worried about what it all means. 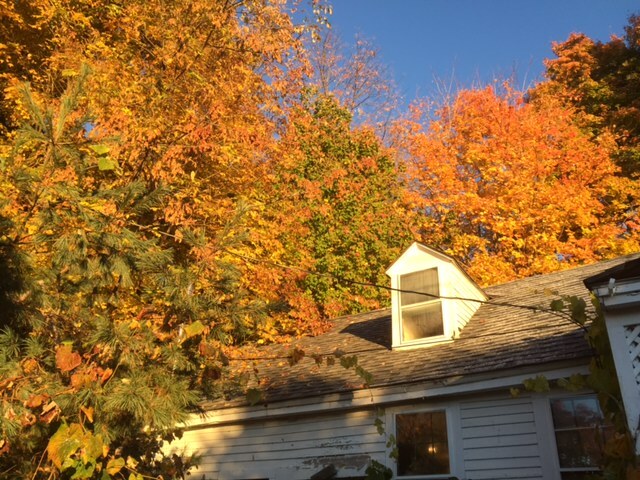 I can watch the leaves change and fall without getting all worked up about the onset of winter, (though I don’t forget to stack the wood). The glory of what I call “Sugar Autumn” is ending, as we move into the less brilliant but still beautiful foliage of “Oak Autumn”. In parts of the woods without oaks, it is starting to be “Under-story Autumn,” where the tall maples have lost their leaves, but the young ones beneath are just starting to change. It seems that the Creator set up the ecosystem around here in a way that gives the young trees a little time to enjoy the sun free from the shade of their elders. The sapling maples pop their leaves out a week before the taller ones in the spring, and lose their leaves a week after the taller ones in the fall. I’m sure a scientist can explain the reasons for this happening, but it doesn’t take anything away from the fact it is a wonderful design, and does allow the young time to grow, or at least subsist, until the old decide enough is enough and politely remove themselves from the sky by becoming increasingly rotten and the home of woodpeckers, or perhaps becoming firewood. That is the sort of thing I contemplate, as I gaze upon Creation, and it seems wiser to me to appreciate beauty in this manner than to become worried, and in a sense to get in a fight with Creation. Too many people spend their entire lives avoiding what may never happen, and isn’t all that bad when it does happen. The reasons people give for the lessening of their lives are many, but it still remain a lessening. Some of the best advice I ever got may be the crudest, “Get over it.” For there are many ways to look at the moon. Would it hear? All I could do was stand and yearn. My mundane friends frowned on what disobeys. And burdened by leaden get-rich-quick schemes. Of cities it beckons those in its shadow. I am not sure how much of the buoy-operations to the north are dependent on solar power, but things tend to close down when the darkness descends. The thermometer also descends, and perhaps batteries do not work as well, once temperatures drop below -20°C. Or perhaps there is simply much less to see, when it is dark all the time. 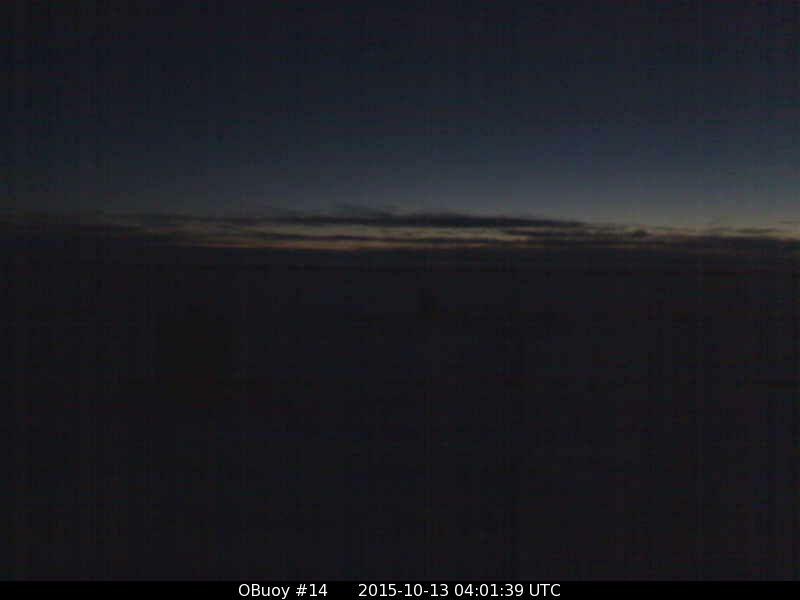 In any case, the data received from our various polar cameras tends to decrease as darkness descends, and we must wait impatiently for the light to return in the spring. We have been witness to a golden age in Arctic Sea-ice research, when enormous amounts of money became available to those willing to endure the risks of the arctic, ranging from swift death due to falling into sub-freezing salt water, to being lunch for a polar bear, and mere discomforts such as subfreezing winds and walking in tundra so thick with mosquitoes that toilet paper is unnecessary. The gutsy scientists who have gone out into the field to do these studies have gathered amazing data, and also have devised amazing gizmos and gadgets that study sea-ice from beneath the water and overhead from outer space, and all this intense work allows the lazier sort of scientist, and even the layman like myself, to laze in a warm room by a warm computer and think they have the slightest idea what the arctic is like. Sadly, all the money for research was not without strings. Sinister characters who care little for Truth, (called politicians), lurked in the background, and they did not wish to see science discover things that were unknown, but rather knew exactly what they wanted science to confirm; namely: “The Death Spiral”. At the risk of sounding suspicious, I feel the entire “Death Spiral” idea was more political than scientific, and was an attempt to generate a threat that would justify galvanizing the public, and instituting the sacrifices one associates with a war. During a war the public is willing to sacrifice many freedoms, because they know survival is at stake. Unfortunately for the sinister characters, not only was there a failure of the “Death Spiral” to manifest, but there was no way to “adjust” the pictures coming from the Pole. (There also seemed to be a certain stubbornness on the part of arctic scientists, [perhaps due to the courage it takes to endure the harshness of arctic field studies], when it comes to being bullied by benefactors to a degree where actual data is altered.) In any case, seen from the political side, the vast amount poured into arctic sea-ice research had very little bang-for-the-buck, and in fact was having a negative effect, It was in fact making certain politicians, and their spokespeople, laughing stocks. This simply isn’t done, in polite circles in Washington D.C. You are suppose to know which side your bread buttered upon. And if you fail produce a square wheel when they say a square wheel is wanted, and instead are honest and say a round wheel is better, guess what happens to your funding? To return from my rant to the facts of the matter, there is little to report for the next four months except it is wicked cold and wicked dark, and the ice is growing outwards, and growing in thickness. Very little of the information we ponder comes from the cameras and buoys locked into the ice, as they largely enter a period of suspended animation. Even the visual satellite view sees a expanding black hole that extends out to the arctic circle on the solstice, and then only begrudgingly retreats. Our lying eyes must take a vacation, as we become increasingly dependent on conceptual stuff such as “microwave imagery”, which require a degree of tweaking by the dreaded bugaboo called a “modle” before producing the maps we study. Because there is little to report for the next four months, these Arctic Sea Ice posts will likely become shorter, and more sparse. I’ll continue to post the DMI maps, and perhaps annoy people by naming storms, however my posts will become less wordy, as my energy will be directed more towards Local View posts, which are likely to become interesting as a major gas pipeline is proposed to basically destroy my little town, and I may be able to document the destruction of much beauty, and also how Washington D.C. responds to an entire community of quiet geeks being turned into frothing NIMBY’s. What I likely will do is continue to update the Arctic Sea Ice posts for two weeks before starting a new one. It will be hard to find them among all the Local View posts, and therefore you may want to in some way bookmark them, if you are interested in the updates. 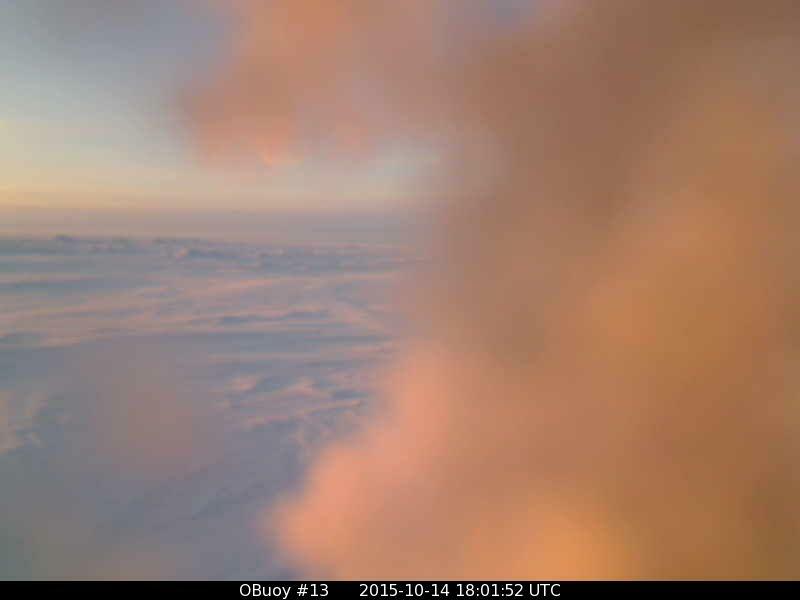 I’ll start this post with the news from “Faboo”, which is my name for this year’s North Pole camera. Faboo’s lens has been obscured with frost, the co-locate Mass Balance Buoy has stopped reporting, and we hadn’t received any weather and GPS data from Faboo in days. Meanwhile we knew from maps a big surge of milder, Atlantic air rushed up that way. Now at last all the stored data has been downloaded. Last Thursday Faboo hinted it might be ending its “wrong way” drift and starting south, and indeed on Friday it did drift as far south as 84.501°N at 0300Z before resuming the “wrong way” drift to the north and west, finishing the period at 84.551°N, 7.375°W, which placed us another 5.19 miles NW of Fram Strait, where we are supposedly heading. 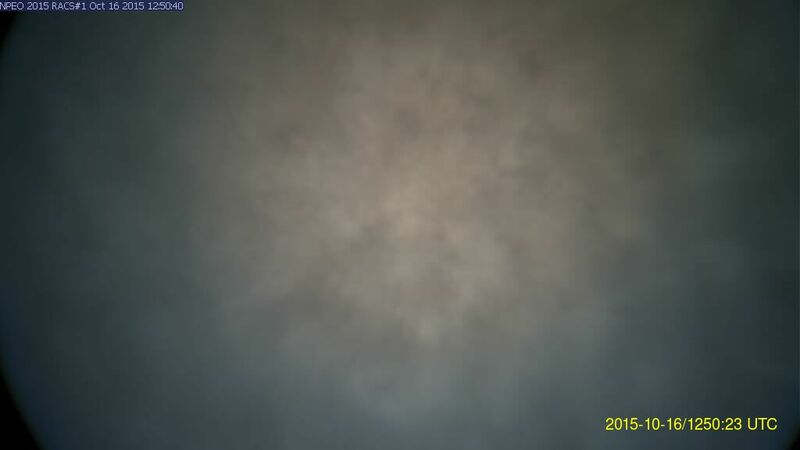 Temperatures were very mild, rising from a low of -2.6°C at midnight to -0.2°C at 1500Z (which was tantalizingly close to a thaw and cleared camera lens) before slipping back to -0.8°C at 2100Z and the end of the period. 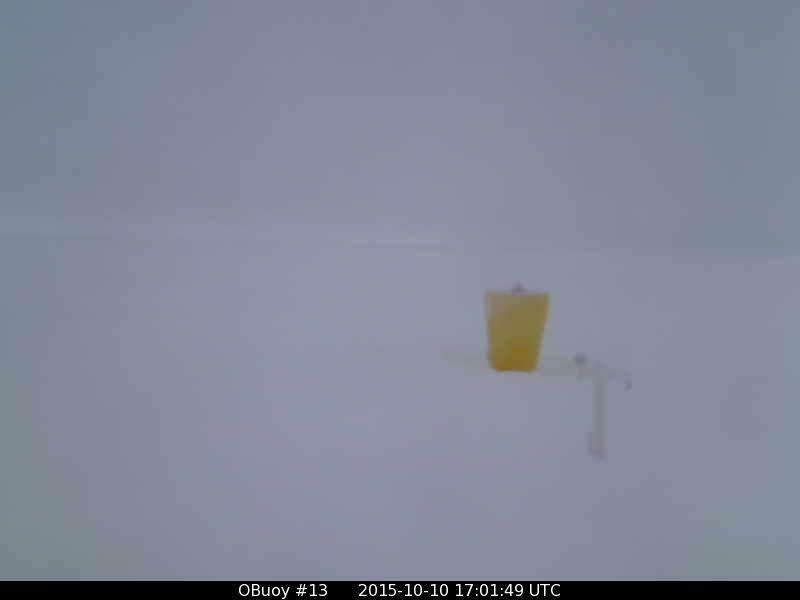 Winds were apparently very light, though the anemometer may have spent some time hoarfrosted to a standstill. On Saturday there was little wind, as temperatures crashed amazingly over twenty degrees, and Faboo went as far west as 7.531°W at 0300Z before starting east, and reached 84.586°N at 0900Z before heading south to 84.576°N at 1500Z and then rebounding north to end the period at 84.583°N, 7.228°W. Despite all these antics, Faboo barely budged, ending the day 2.41 miles northeast from where it began. However it was Saturday’s temperature antics that were most likely to raise eyebrows. The high was at the start of the day, -0.9°C at midnight, and the low was at the end of the period, -23.2°C. For temperatures to crash like this with winds below 5 mph surprises me. On Sunday Faboo resumed a more normal southeast drift, ending the period at 84.561°N, 6.913°W, which was 2.55 miles the “right way”, towards Fram Strait. The anemometer may have frosted up, for neither wind nor wind direction were reported, and temperatures stayed very low most of the day, achieving a low of -25.4°C at 1500Z, before rising sharply to -16.7°C at the very end of the period. “Flingson” continues to sit atop the Pole, looking a lot like a mid-latitude low with no line of latitude to travel along, because 90° North is just a dot. It has the classic warm sector, and the classic cold front, which we saw pass over Faboo when the temperature dropped 25 degrees. Because it can go no further north, it is in essence serving as a chimney for the planet’s warmth, uplifting and venting it into the darkness of outer space. A pipeline of warmth swings up through the north Atlantic, cold to the west and milder to the east, and along this flow a series of lows is forming, Which I’ll just call “Fling3”, (south of Svalbard), “Fling4”, (southwest of Iceland), and “Fling5”, (southwest of Greenland towards Newfoundland). The difference between the two years (so far) seems to be the storm track this year goes right up to the Pole, whereas two autumns ago it went marching west-to-east along the Siberian coast. While the above maps do show a northerly flow start to be established in Fram Strait, it isn’t that strong, and by the final map the flow is meandering and even has some southerly elements. The temperature maps above show that the air being sucked north from Siberia ahead of the warm sector is cold, the reason being that Siberia itself is snow-covered and generating a cold all its own, which shows up quite clearly in the Dr. Ryan Maue map from the Weatherbell site. This maps shows that it is even colder to the south of the warm sector than it is to the north. 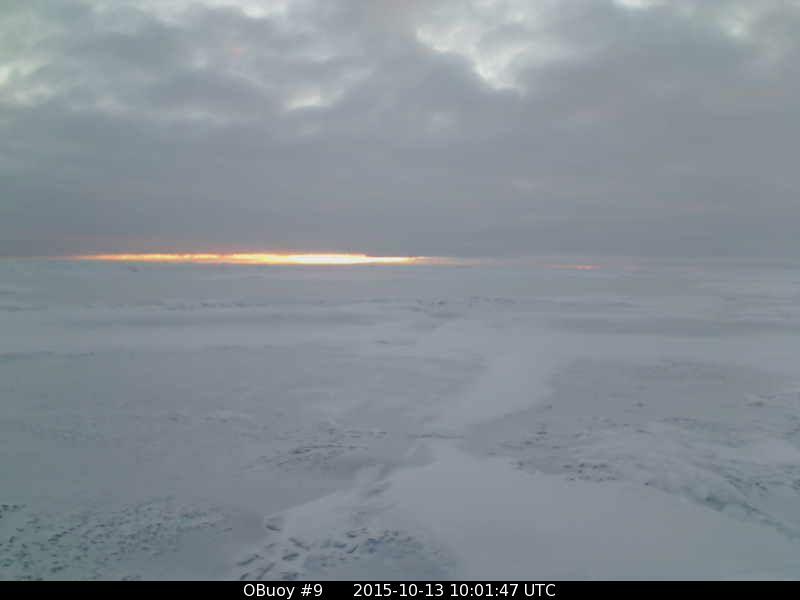 The land breeze, which was warm in the summer, is now frigid and starting to build coastal sea-ice. Having all that moisture turned to solid snow releases a lot of latent heat, and because it is released up over 10,000 feet atop an icecap I imagine this is more heat lost to outer space. Faboo made some headway towards Fram Strait, traveling 6.2 miles in light winds to 84.471°N, 6.154°W. Temperatures reached a high of -12.1°C at 0300Z, achieved a low of -21.2°C during a brief down-spike at 1500Z, and then swiftly recovered, with a temperature of -12.7°C at 2100Z. There are still no clear pictures available. 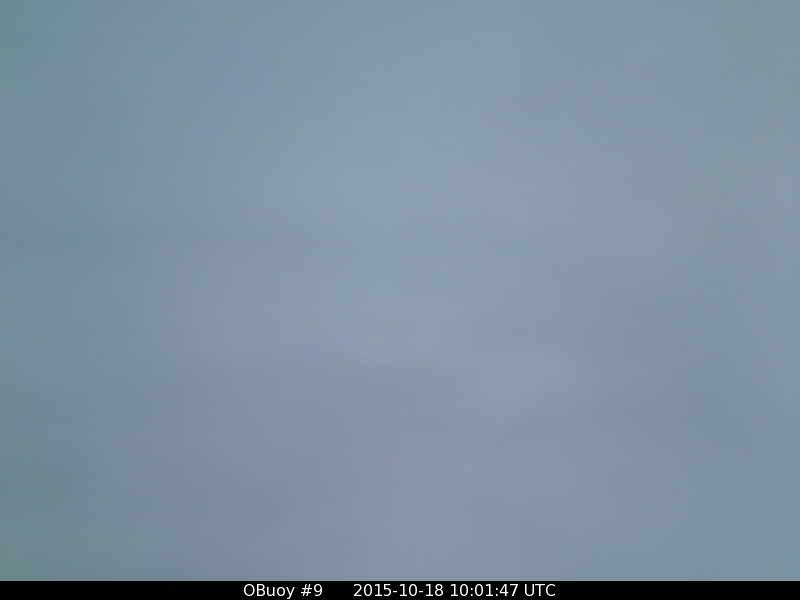 O-buoy 9 has drifted down nearly to 79° North, and is now again pausing. Here is a beautiful picture of the twilight after the brief day. Temperatures have slid down to -15°C and winds are light. Flingson is flattening, with a pronounced Laptev Sea to Canadian Archipelago flow developing. This flow is tapping into some cold air over Siberia, and the ice is growing quickly in the Laptev Sea, both on the shore side and the sea side. (The ice freezes quickly close to shore because the amazing Lena River summer floods [the river can rise 60 feet] create fresher water close to shore, which freezes quicker.) Though the ice attached to shore is called “fast ice” it often breaks sose and, on a cross-polar-flow like this, heads for a pile up in the Canadian Archipelago. Here’s a view from the Russian side of the growing ice along Russia’s north coast. Despite the strong flow on the Pacific side of Flingson, the flow in Fram Strait remains weak and confused. Fing3 and Fling4 can be seen following along a sort of arcing cold front, with Fling5 off the DMI map but seen on the UK Met map. This string of storms is expected to coalesce into a single big gale southwest of Svalbard by the weekend, and finally give the Greenland coast some strong north winds. It has been a long Thursday, and I feel especially in need of escapism. Now are the times that try men’s souls, but I’m not in the mood. Give me sea-ice. My hotheadedness requires some cooling, and indeed craves it. Give me some views of blue and sky-blue-pink, and a solid, white plain so different from land, with land’s silly fences and land’s silly no-trespassing signs, because it is in fact a sea, and laughs at fences. One thing messing up the ordinary west-to-east flow of storms along the coast of Siberia may be the swift freezing of the Laptev Sea, even as the Kara and Barents Seas are much more wide open than they were last year. This is one of those chicken-or-the-egg things, wherein it is hard to say whether the pattern created the sea-ice or the sea-ice created the pattern. However once it is created, I imagine they work hand in hand. Storms don’t want to go where it is cold, and would rather hang back where it is warmer, and if they hang back from the ice-covered Laptev Sea that sea experiences south winds, but they are not the balmy winds of summer; rather they are as bitter cold as an ex’s lawyer, which only increases the ice on the Laptev Sea. This likely means something for Europe, but I’m still adding it all up on my digits. 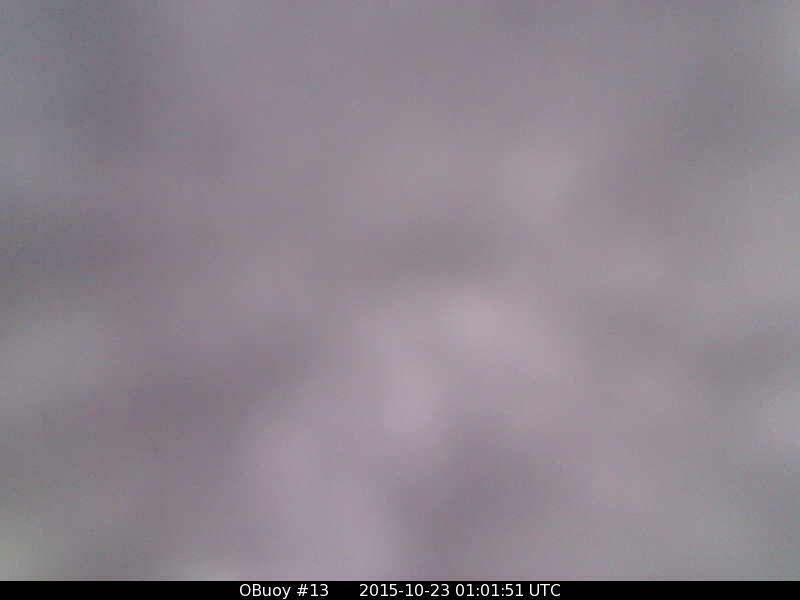 Faboo continues to be less than picturesque, and lens befoul-ment is afflicting our other buoys as well. 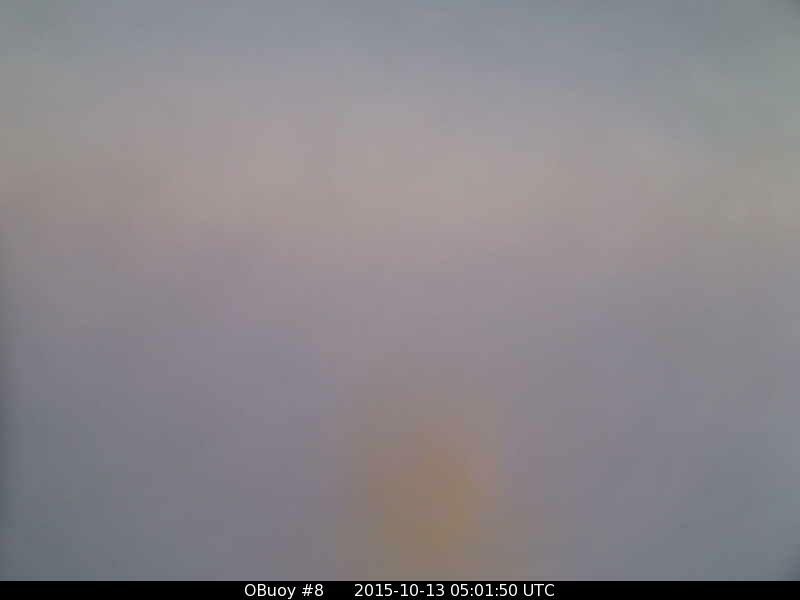 O-buoy 13 reports temperatures of -23° with 5-10 mph winds, and shows a smear. 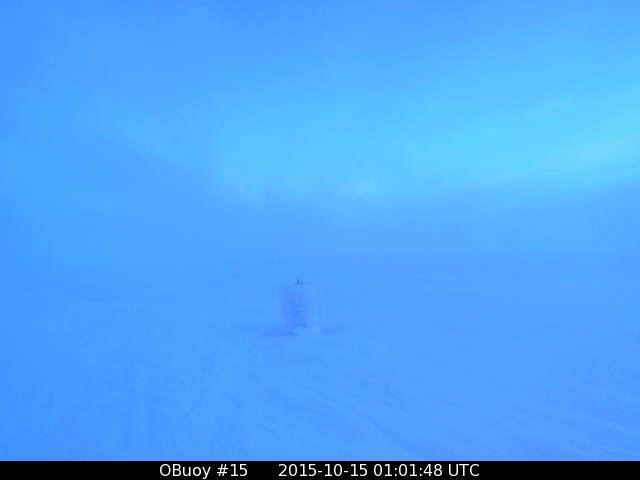 O-buoy 15, north of the Chukchi Sea, has seen a warm-up to -8° with 5 mph winds. and also shows a smear, When I turn to O-buoy 8b, expecting its usual smear, I get a surprise, for over north of The East Siberian Sea it is -18°, winds are 10 mph, and dawn is breaking on a brief day. 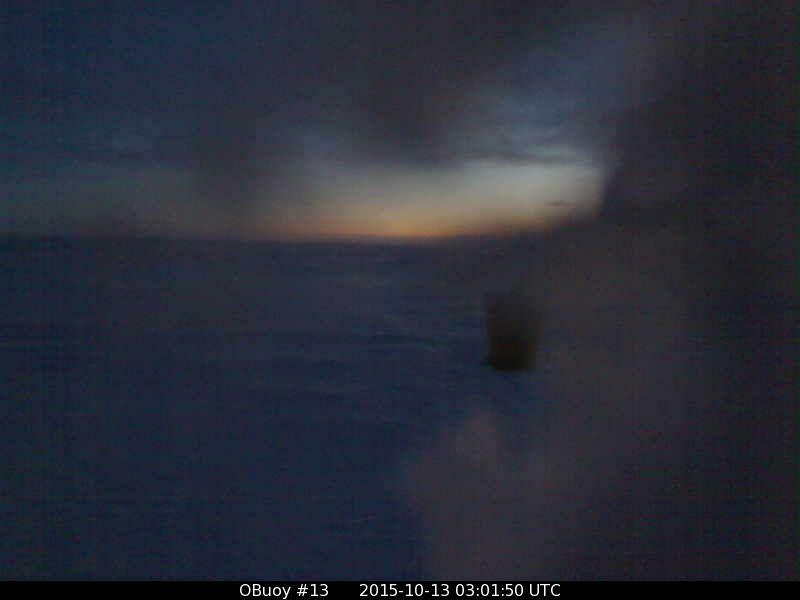 Across the Pole at O-buoy 14 the brief day is ending, winds are slacking off, and temperatures have crashed to -24°C. 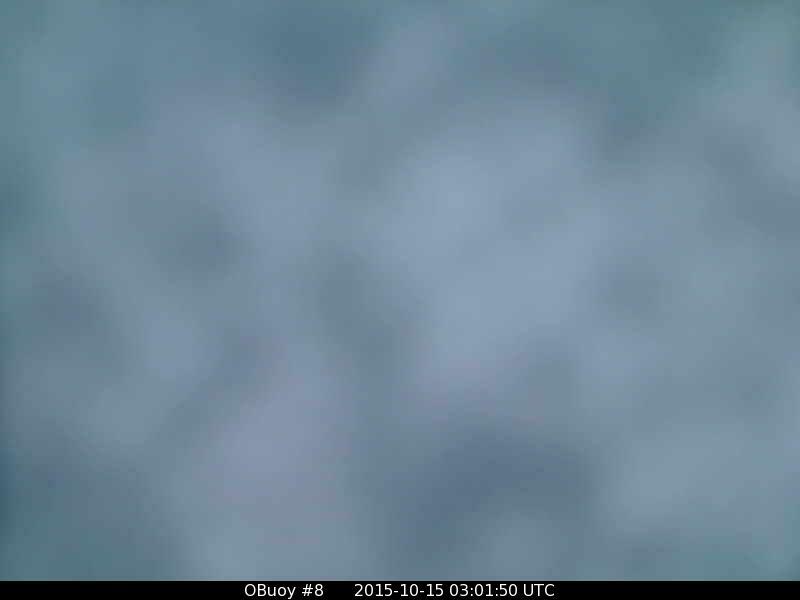 Over in Fram Strait, O-buoy 9 hasn’t sent us a picture in two days. If the camera has quit, it is likely because it has been functioning without a bit of human maintenance in extreme conditions for over two years. It deserves a standing ovation, but I miss it. The weather station continues to work, and reports it is -13°C with 10 mph winds, and we’ve finally made it down to 79° North latitude. 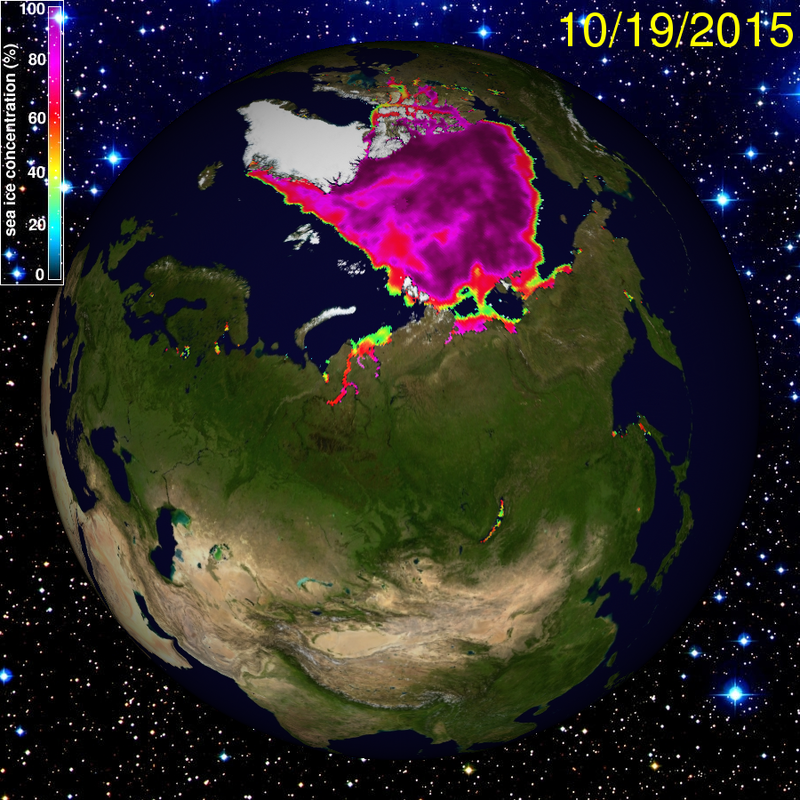 On October 20 Faboo drifted steadily southeast to 84.400°N, 5.720°W, which covered 5.69 miles. Temperatures fell from a high of -12.8°C at midnight to -20.3°C at 1500Z, and then rebounded to -13.0°C at the end of the period at 2100Z. As forecast, Flingson settled down into Canada, and Fling3 faded north of Europe as Fling4 filled in over Svalbard, and Fling5 grew into an Autumnal gale over Iceland. Now Fling5 is elongating and has a second “zipper” center where the occluded stops occluding to the northeast. I’ll call that second center “Fling5zip”. Rather than loop-de-looping it is expected to take the old storm-track along the Siberian Coast, but rather than the storm-track becoming established, a high pressure will build in the wake of Fling5zip, deflecting the following storm south towards Britain. Originally midels showed this blocking high pressure creating a southerly gale in Fram Strait, but some have backed away from that idea, and now show a sort of aimless mess of isobars in Fram Strait, so your guess is as good as mine, concerning which way the ice will move next week. For the moment there is a good surge southward, which is normal for this time of year. On the Pacific side Nunu has not created the cold I expected, as it slides towards Canada. It will try to develop a ridge through Fram Strait, linking to high pressure over Scandinavia, but the failure of this ridge to become established, (or the failure of models to figure out what in blue blazes is going on), is creating the aimless mess of isobars in future maps. Faboo is not yet reporting the northwest winds. Our last report is from October 22, when, midst the last aimless mess, Faboo slowly drifted northwest to 84.438°N, 6.063°W, which was 3.37 miles the “wrong way”. The wind-vane and anemometer are likely coated in hoarfrost, as neither is reporting. Temperarures rose to -9.7°C at 0900Z and then plunged to -20.8°C at 2100Z. 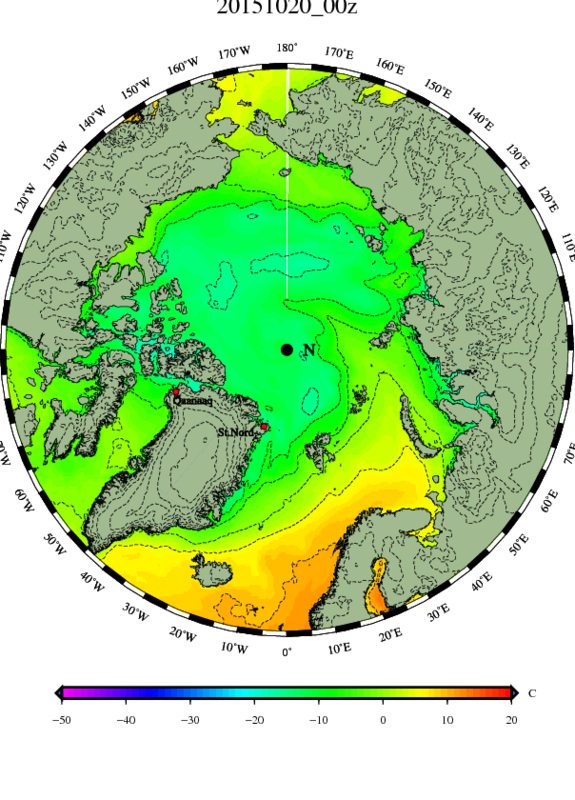 Hudson Bay is now totally surrounded by snow, with cold air pouring south from the Pole to its waters. Usually such cold air is warmed by the waters, but the waters seem to have less heat to give up this year, likely because the ice was so late melting last summer. This does not bode well for me, as a warm Hudson Bay buffers us from cold north winds, down here in New Hampshire. (Temperatures in the map below are in Fahrenheit. 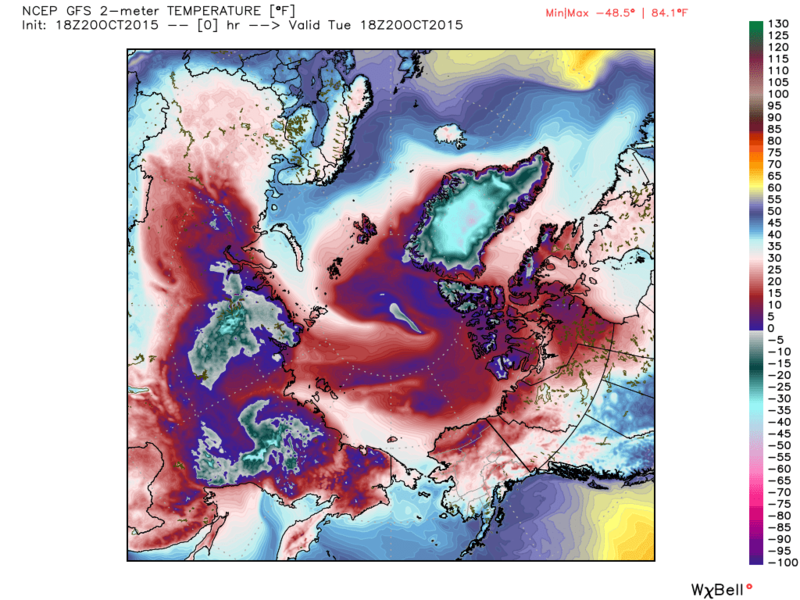 The freezing point is shown by a shift from blue to pink [except in the middle of Greenland. where pink represents -50°F]. This is the highest Hudson Bay ice-extent, this early, since 1992. Of course, we are only talking about 1% of the Bay being frozen. Yet once the Bay starts to freeze it can proceed with astonishing speed. Last year the bay went from being ice-free to totally covered in something like 21 days. The tiny, little bit of ice can now be seen creeping out from the west coast. Watch to see how fast if grows in coming weeks. In the upper left of this map is the Beaufort Sea. 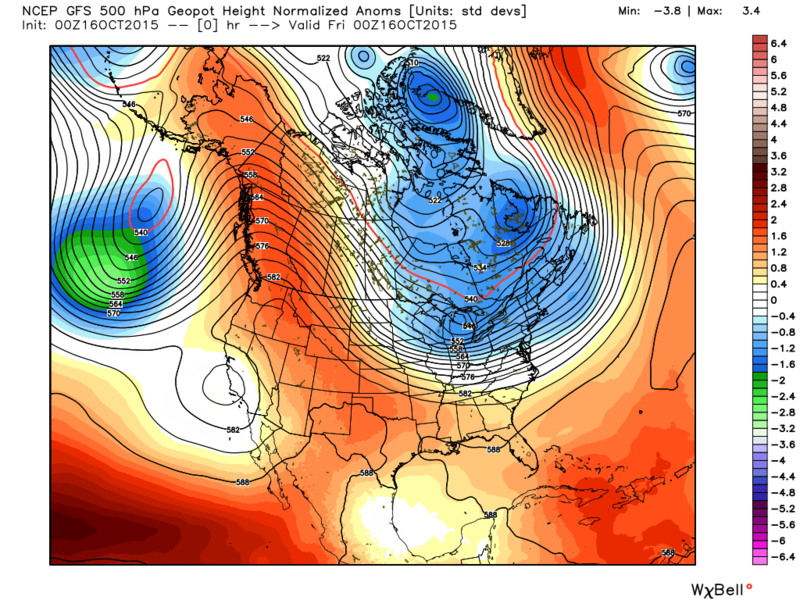 Notice “The Slot” has vanished, and ice is starting to creep out from the coast of Alaska. “The Slot”, which was such a fascinating feature of late summer maps of the Beaufort Sea, has completely filled in with ice. Now we see a more normal slot of open water along the coast. It was this sort of slot which once trapped whaling ships that lingered up there too long. (A few ships got trapped up there on purpose, to make an early start in the spring.) The concentration map below shows the sea-ice just starting to link up with the shoreline ice northeast of Barrow, and again north of the Mackenzie River Delta, creating a new “lagoon”. The above map does not show how thick the ice is. When we look at the same secene with a thickness map, the view gets interesting. Ordinarily the ice would get thinner (lighter purple) as we moved towards the youngest ice at the edge, however this year we can see some deeper purples towards the edge, which is like a ghost of the “reef” that once existed on the south side of the “lagoon”. Considering these maps tend to “average out” small areas of thicker ice, the reef may be more solid than the above map suggests, and contain some bumps that are sizable bergs. It is something to keep in mind, when we watch how this ice behaves this winter. I imagine the thinner ice in the old “lagoon” will be more likely to crumple into pressure ridges, and also the existance of larger bergs in the “baby ice” to the south will act like sails, and that ice will shift more in strong winds than would be the case is it was all flat. Besides showing that Hudson Bay is now completely surrounded by snow, the snow-cover map shows the snow is unusually far south in the west of Russia, down past its southern borders into Kazakhstan. 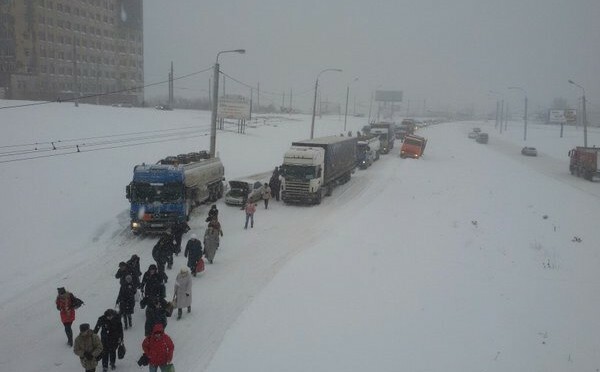 The Russian city of Omsk, down near the border, received 16 inches of snow, which basically closed them down. You may be saying to yourself, “Big deal; it may be southern Siberia, but it is still Siberia.” However something to remember is that as you get further and further south the climate become more and more of a desert. Desert snows are usually thin and dirty, mixed with dust, where it is cold. 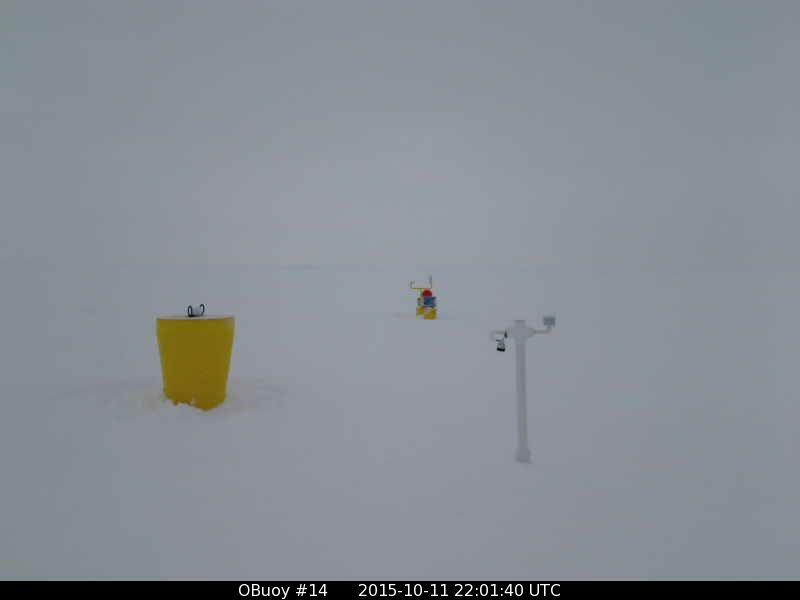 To get a deep snow like this creates a deep snowpack early in the winter. If it is not melted away by the Russian version of “Indian Summer”, it could create a larger than normal area of radiational cooling, and create some nasty cold for Europe, if winds turn east. (One reason Tolkien may have located Mordor to the east, and had the east a direction of dread, is because Europe’s cruelest and coldest blasts come from that direction, (and it also brought waves of barbarians, but never mind that). On October 23 Faboo stopped going entirely the “wrong way”, swerving southwest for most of the day, and reaching 84.424°N at 1500Z before twitching back to the northwest, and winding up at 84.427°N, 6.570°W, which is 3.47 moles SW of where we began. The change in direction may have been caused by the passage of a micro warm front, for temperatures were very cold through much of the period, reach the lowest temperature of the season, -25.0°C, at noon, but then bumping up to -13.8°C at 2100Z. A.) Faboo telling us it is as cold as Jupiter. B.) Faboo spinning very rapidly to stay warm. Of all places for a lead to threaten to form! Temperature is -22°C. Fling5zip continues to slowly drift east of Svalbard, with decent north winds back into Fram Strait. Those winds will slacken as a new Baffin Bay Baffler develops. I’m not exactly sure what to name it, for it contains the ghosts of a number of lows, including “Looter”, which drifted across Canada from the Aleutians, “Nairzeetwo” which drifted down into Alaska after crossing from the East Siberian coast, “Fingson” which came south from the Pole through the Canadian Archipelago, and a more typical North American low I never named which came up through Hudson Bay. Hmmm… Because it is an amalgamated mess, I’ll dub it “Malga”. In any case, as the south winds ahead of Malga counter the north winds behind Fling%zip I expect there will be total, utter and complete confusion in Fram Strait, which will be interesting to watch next week. 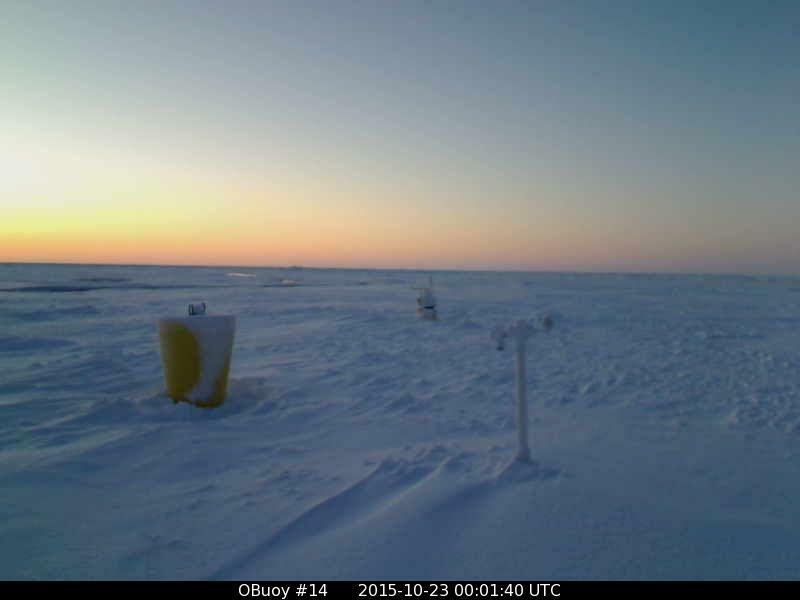 Unfortunately we are getting no reports or pictures from Faboo, though the co-located Mass Balance Buoy has kicked back into life and reports a slow drift south and west, with very cold temperatures below -29°C. Further south O-buoy 9 still isn’t sending pictures, and stopped sending weather reports for much of the weekend, but the GPS worked and showed it made more rapid progress south. 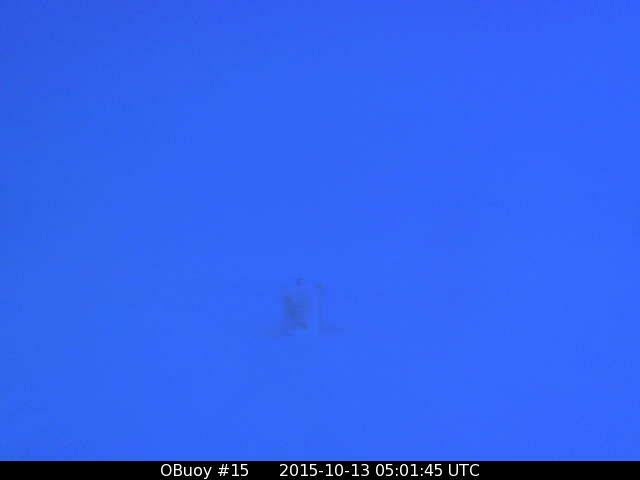 In fact O-buoy 9 has traveled farther south in the past 5 days than it did in the prior 50 days. This swift movement is already slowing, for the weather station licked back into life and reports the winds have slackened from gale force yesterday to less than 10 mph. 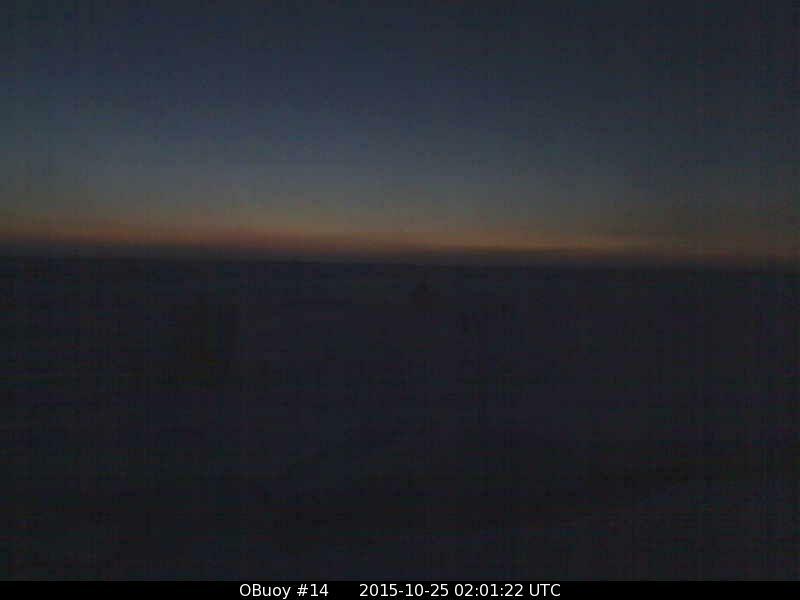 Temperatures have been cold and are getting colder, now below -15°C. Despite the cold temperatures the ice is likely breaking up. This is bound to happen when the ice further north is only creeping south as O-buoy 9 zooms south. The speedy ice leaves the slower ice behind, and open water appears (and swiftly skims over with fragile and thin ice). The only maps I can find that can “see” such a subtle break-up, (subtle if you are viewing from a satellite, but darned meaningful if you are on the ice), are the Norwegian Ice maps from http://polarview.met.no/regs . 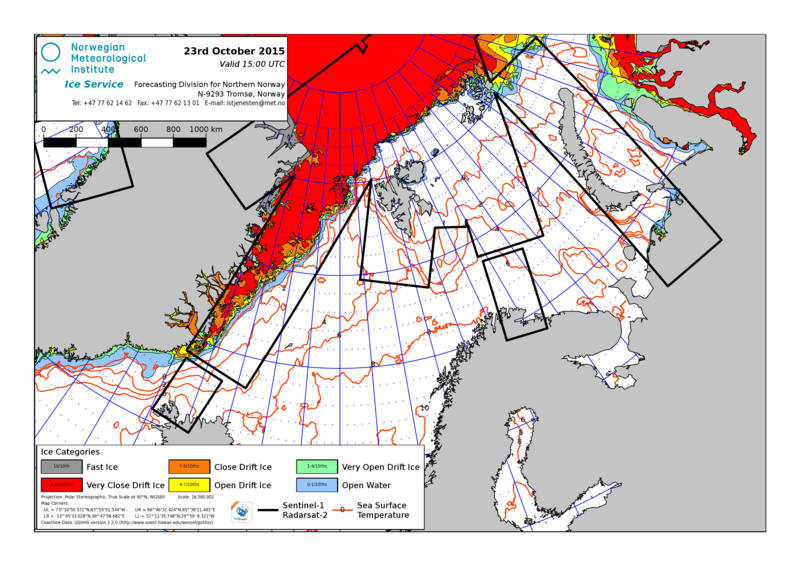 (The top map below is from October 21 and the bottom is from October 25, and you can see a few holes appearing in the solid red areas of “very close drift ice”). 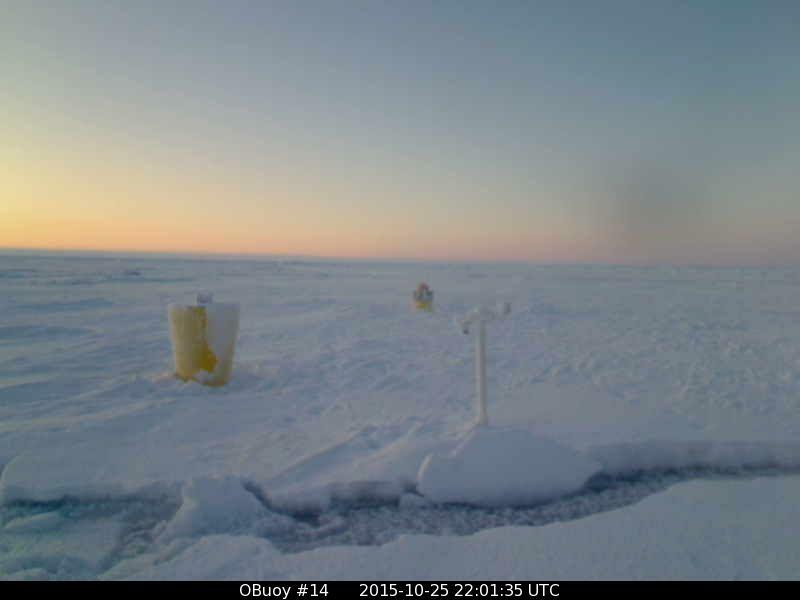 The way O-buoy 9 has started to move once again shows us how mobile the sea-ice is, even when temperatures are well below the freezing point of salt water, and even when the ice has had a long period of time to “freeze solid”. Many novice ice-watchers think the polar ice is static.This is one of the first misconceptions I had shattered when I began using my lying eyes to see what actually goes on up there. This was also shown by the crack that abruptly appeared right before O-buoy 14, despite nearly a month of temperatures below the freezing point of salt water, and current temperatures close to -30°C. Temperatures have struggled to get up to -20°C, and the water in the new crack is swiftly freezing over, (or “healing”, as I like to say). And that seems a good point to conclude this post, making the point that if the darkness and cold doesn’t close down the show our cameras put on for us, the grinding, shifting ice might do it. And also in the far eastern Siberian city of Chabarovsk. 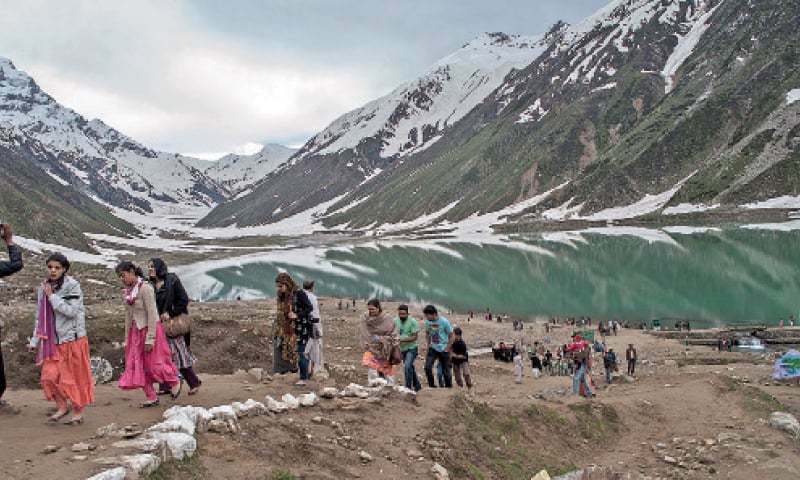 And “thousands” of tourists have been trapped in a valley on the northern Pakistan section of Kashmire, due to heavy snows in the mountain pass leading to the valley, and are reduced to eating nothing but boiled potatoes. 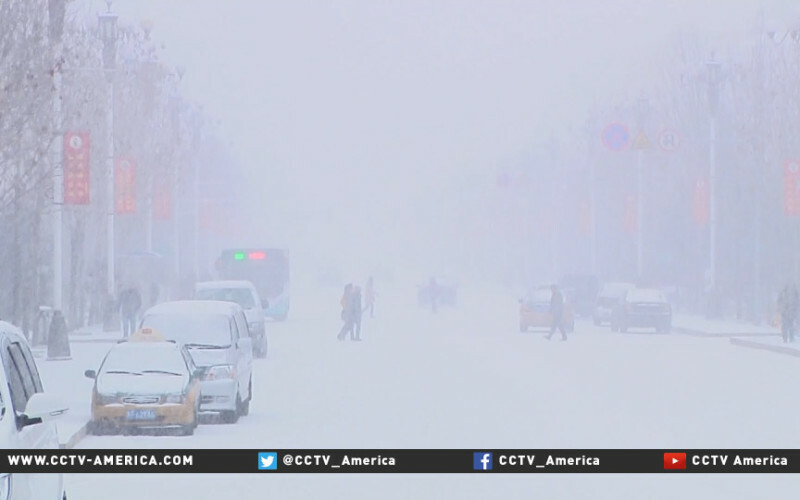 The entire concept of “Global Warming” looks more and more like humbug. What is amazing to me is the zeal with which those who adhere to such nonsense keep their eyes glued firmly closed. I had plans to finish up some work on the clapboards at the end of my 250 year old house today, but awoke to temperatures of 23° (-5° Celsius) and frozen slush coating everything. I was pretty grouchy. 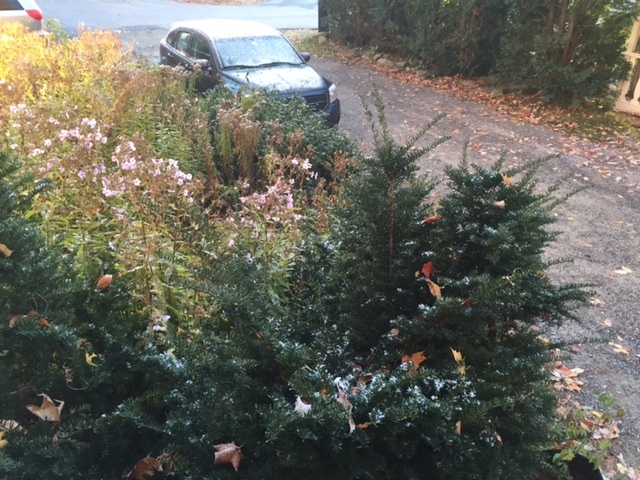 October 18 is too darn early for snow. However the sun was brilliant on the horizon, and there wasn’t a breath of wind. It is hard to remain grouchy when it is so gorgeous out, but I tried my best. If I am to achieve my goal of becoming a cantankerous anachronism, it will require hard work and practice. So I put on my sourest expression and looked for things to gripe about. 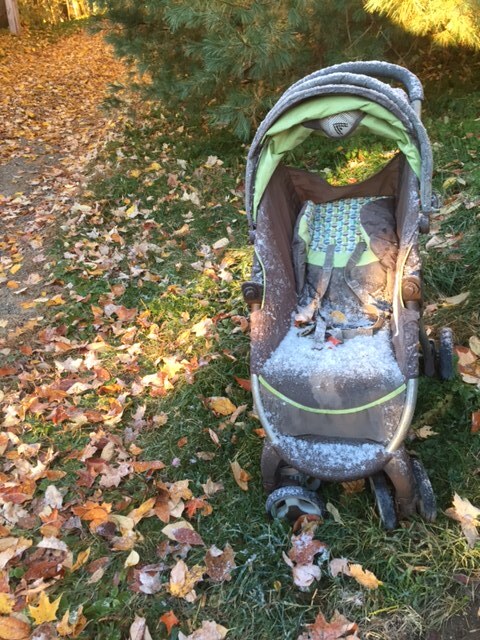 I noticed my wife had left my granddaughter’s baby carriage had out, and it was all soggy with snow. Also the phlox flowers in the garden were frozen. Furthermore, the above photograph was suppose to be artistic, with the snowy car in the background, but it only reminded me I have to trim that yew. Also rake the leaves, and it’ll be harder with them wet. 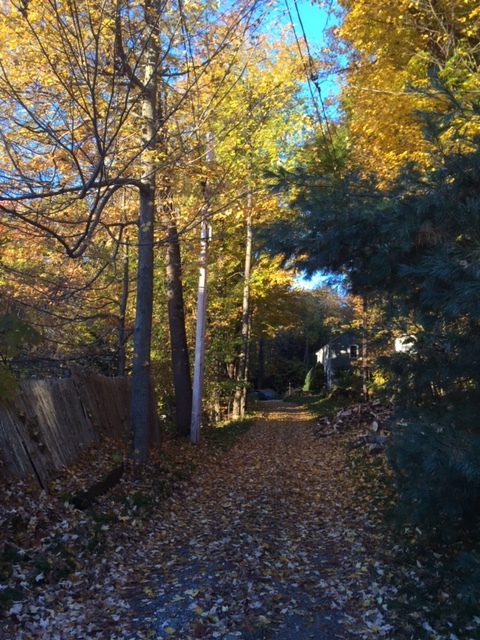 Even as I was grouching to myself about that the leaves began falling. There wasn’t a breath of wind, but sometimes they are merely frozen to the twigs, so that the first beams of sun melts them free, even in a complete calm. 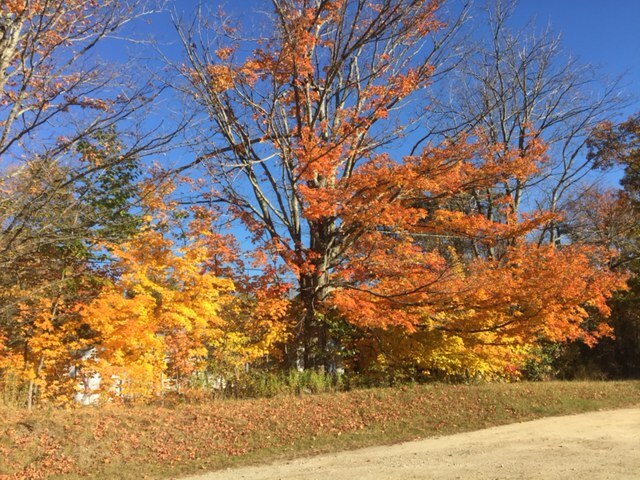 In fact one leaf, as it falls, can jar others free, and a slowly developing slow motion avalanche of color crisply slides down the side of the tree. Formerly I’d sigh, and wax poetic, but as a practicing grouch I now grumble about how all the leaves are covering my firewood and keeping it from properly drying. The heap of firewood is to the right of the road, in this picture. You can see all those messy leaves all over the road. It’s enough to make you roll your eyes to heaven. Oh well. I figure Sunday’s suppose to be a day of rest, anyway. I’ll get back to practicing my grouchy expression first thing on Monday morning. 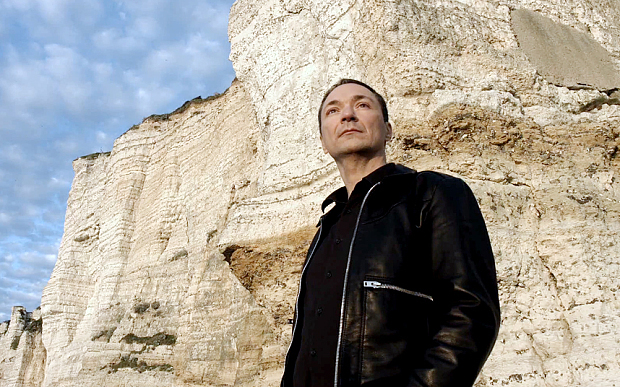 Viva Philippe Verdier! Sign the petition for his reinstatement. 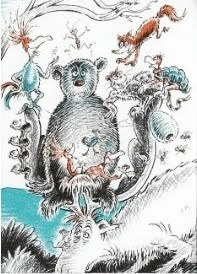 He (Philippe Verdiere) said he decided to write the book in June 2014 when Laurent Fabius, the French foreign minister, summoned the country’s main weather presenters and urged them to mention “climate chaos” in their forecasts. Mr Verdier said: “If a minister decides he is Mr Weatherman, then Mr Weatherman can also express himself on the subject in a lucid manner. “What’s shameful is this pressure placed on us to say that if we don’t hurry, it’ll be the apocalypse,” he added, saying that “climate diplomacy” means leaders are seeking to force changes to suit their own political timetables. It should be noted that Mr Verdier himself has no degree in meteorology. His degree apparently is in something called, “Sustainable Development”, which likely includes some knowledge of biology, geology, ecology and, yes, meteorology. However it truly doesn’t matter what he learned before, once he entered the media and became a reporter of the weather, for reporters often find themselves entering situations they know little about. They are suppose to investigate and ask questions, and dig, and probe, and discover. Of course, many in the modern media are known for their complete failure to investigate, and are somewhat embarrassing, for they are but parrots in an echo chamber. They are told to repeat the propaganda they are paid to promote, and to stray from the dutiful bleating of the politically correct spin is dangerous. However Mr Verdier apparently was naive, and assumed he was suppose to continue his education, and to be a good reporter-of-the-weather. What Mr Verdier then did was to write and (somehow) get published a book that stated the meteorological truth, as he saw it, and also the political truth about the pressure scientists were put under by non-scientists. It was little wonder to me that Mr Verdier promptly got fired, despite his honesty, despite his public popularity, and despite the fact his firing had nothing to do with the performance of his job and the accuracy of his forecasts. It was also little surprise to me that Mr Verdier was surprised. When I was younger I was also surprised by the reception Truth received when spoken. It used to get me fired up, and I’d wail and beat my chest about what a martyr I was, but since then I’ve grown more accustomed to human weakness. Perhaps I’m a bit jaded, but when I do something politically incorrect like wear a striped shirt with a plaid jacket, I don’t give a fig about other’s outraged expressions. Life is too short to care about such meaningless drivel, but if some old men want to dress in the latest fashions of teenagers, and worry about stuff like that, that is their right and their loss. In like manner, compared to Truth and Beauty, most political stances are meaningless drivel. The same politician who was most eloquently anti-alcohol in 1918 was eloquently anti-prohibition a decade later. Such flip-flopping may be blatant hypocrisy in terms of Truth, but it is a rare politician who cares so much for Truth he will lose an election for It. Real Poets and real Scientists, on the other hand, are suppose to care for Truth so much that they will suffer for it. And now Mr Verdier is experiencing such suffering. Of course, this is a new experience for him. He has been successful, enjoying the limelight and adulation, and to now be abruptly kicked off the airwaves and plunged into ignominy is not all that bad. For one thing, it is a vacation from the rat race, and for another, being a martyr for Truth can seem glamorous and even ego-inflating, at first. This may explain the pictures, verging on megalomania, on his website, of him as a martyr. Old poet-losers like me, who took such stances against political correctness 40 years ago, known damn well that standing in a cold sea-breeze looking glamorous can get old, especially when no one is taking pictures and no one is preparing dinner. However I very much hope Mr Verdier doesn’t need to learn about loving Truth through working as a bottle washer, as America’s poets do. It would be a waste if his God-given gifts, which involve reporting the weather to the public. After all, Mr Verdier is a media-oriented individual. Megalomania is a job requirement. However, despite this requirement, Mr Verdier has done a courageous thing, and stood up for something which all too many in the media utterly ignore: Truth. Therefore he should forgo the requirement of poets, and skip the bother of either dying young or working his fingers raw in rough jobs for the next 40 years. He has suffered enough, in his own ivory tower. Just as Winston Churchill didn’t need to work as a dishwasher, (though he did serve in the trenches), and always had servants, (at times even in the trenches), Mr Verdier should not be reduced to dire poverty to prove he is a lover of the Truth. Mr Verdier has already loved Truth. He has proved he loves Truth. Therefore all who also love Truth should support him, and should sternly scold politicians like France’s foreign minister Laurent Fabius, who has proven he loves politics more than Truth. So far, the best way I have seen to support Mr Verdier is to sign a petition urging he be hired back. It can be found here. Also I suppose one could buy his book. Speaking for myself, I envy Mr Verdier, because I know damn well that when I, as a young man, stood for Truth, there was no one on earth urging others to sign a petition supporting me. For me, and I am sure thousands of other brave poets, the only reward for honesty was and is self respect. However I will not allow envy to lessen my support for Mr Verdier. So what if he is a novice? He is doing the right thing. I signed it, and I seldom sign petitions. As far as I can see, Philippe Verdier is simply being honest. He was told to be dishonest, and simply wouldn’t stand for it. Therefore, because he didn’t do what he was told, he is to be punished. The message the French government is attempting to send seems clear: If you do not tow the line, it doesn’t matter how established or popular you are, they will strip you of your job, your income and your dignity. This sort of bullying is tyranny, and must be opposed. Some may be frightened and cowed, however those who own a shred of courage must take a stand. Rather than thinking they created a cowed public, the government must see they made a big mistake, and roused a sleeping giant. Rather than cowing opposition on the eve of their wingding in Paris, the government must see that they have once again shot the foot they planted squarely in their own mouths. Rather than seeming politically wise and adroit for being bullies, they must see they are clumsy buffoons. Rather than the wingding in Paris being a propaganda extravaganza, suggesting Alarmists save the oppressed, it may well be turned right around, and suggest Alarmists oppress the saviors. Therefore I urge all, and most especially those who love Truth in France, to object loudly and strenuously to the dastardly way Philippe Verdier has been treated. No matter how small your voice may be, remember, as I do, that it takes only one pebble to start an avalanche. Comes news of an early season snowfall that stopped trains, mostly because the trains are electric and trees dropped limbs onto the lines over the trains. 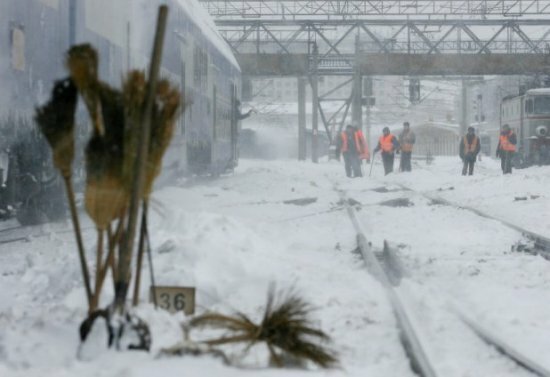 Travellers from personal train Suceava – Cacica were taken by minibus and taken home after the train was stopped Sunday afternoon in the station Todireşti, said County Council (CJ) Suceava, John Catalin Nechifor, according to Agerpres. The train was stopped at the station after power line was damaged because of falling trees and branches that yielded abundant snow. However, Nechifor said that another issue was brought before the train Ilva Mica – Suceava which was stopped after probably , trees fell on power grid, between the towns Kindergarten and Larion. According to Nechifor during the evening railway line between Transylvania and Suceava will be functional.Also, President CJ Suceava showed that there were failures in the electricity supply in the area Campulung Moldovenesc, but in Vatra Moldoviţei teams E.ON interfering spot for redeploying the network. If winter came when the leaves were still green, even the trees got fooled. 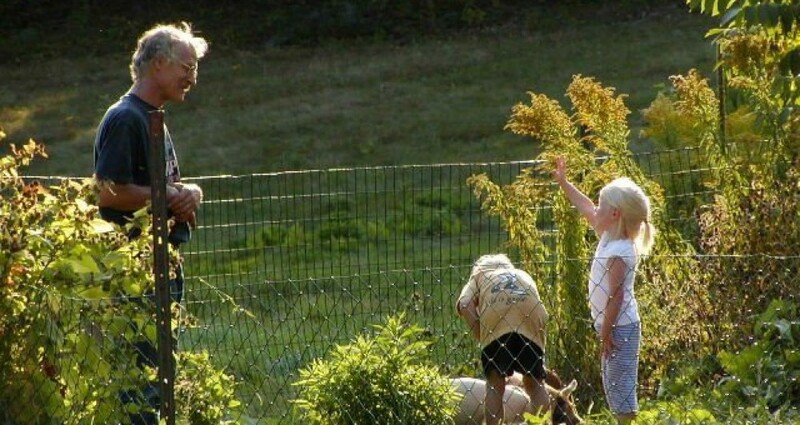 Considering they spend more time outside than humans do, it is little wonder if humans were taken by surprise. The culprit for the cold has been a high pressure which, on my Sea-ice posts, I named “CPR” (which was short for “Cross Polar Ridge”.) This ridge of high pressure for a while extended from Bering Strait to Norway, and the winds on the Eurasian side of this cross-polar feature drew air from the East Siberian Sea to Finland and then south towards the Caspian. 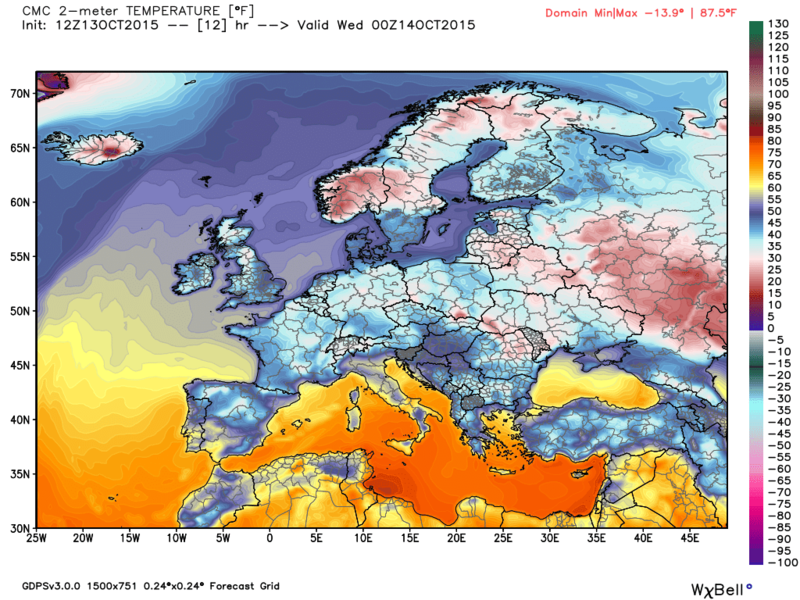 The cold air has resulted in snow-cover far south in western Russia. It can be seen that this high pressure’s east winds would be transporting the cold air to the west, and riding the back of these east winds were Bewick’s Swans. Apparently swans have a habit of staying just ahead of the freeze, and there is a Russian expression that states, “The swan brings snow on its bill”, because they tend to fly just ahead of the first severe cold. Therefore, when the first Bewick’s Swan landed in a sanctuary in Slimbridge, Glouchestershire a month earlier than last year, and earlier than ever reported since records started to be kept (in 1963), people feared it might signify the start of a long, cold winter. So there you have it, one of the rare cases of people in Romania agreeing with people in England. People tend to form a beautiful variety of cultures which some, calling themselves “progressive”, oppose, thinking a bland, international McWorld culture would be better, and individuality should be abolished in all its forms, including the variations that lead to some being called English and some being called Romanians. I think this would be a huge loss, and would be preferring the myopia of Cyclops to the depth perception which owning two eyes and two views allows. However I must admit two views can involve distrust. Here in New England the Natives have always distrusted the Newcomers, and any deal made with “the other side” was suspect. For this reason the word “Indian” was sometimes used (until it became politically incorrect) to indicate something you couldn’t trust. An “Indian Giver” was someone who gave you something they later took back, and “Indian Summer” was a late autumn warm spell liable to be followed by very un-summery weather. Even more politically incorrect was the word for an early cold snap, which often preceded an “Indian Summer”, which was called a “Squaw winter”. “Squaw” was the word for an Indian woman, and now is deemed very racist, sexist, and very, very naughty. Therefore, in the bland spirit of internationalism, I should say, “Early Winter” and “Late Summer”. Bleah. 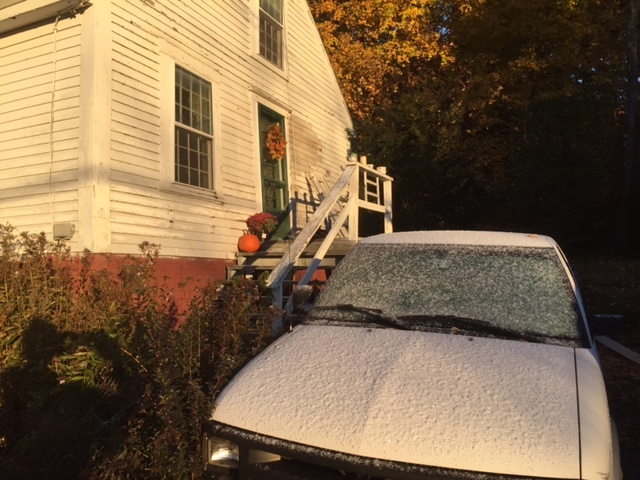 I figure there are too few adjectives as it is, and if I have to say “An early winter followed by a late summer may mean a hard winter,” it lacks the meaning of, “A squaw winter followed by an Indian summer grows the stingy Yankee’s woodpile.” Political incorrectness communicates more. In any case, the old, weatherwise Yankee I once knew didn’t say a squaw winter always foretold a hard winter. It did set them on edge, but they could speak of early snows that were followed by relatively mild winters. They knew weather is complex, and were always scanning the skies for updates. However one thing they put a lot of stock in was the behavior of wildlife. I’m quite sure they would tell the people of England to pay attention to those Bewick’s Swans, even if the current cold spell is followed by a nice, long, warm spell. 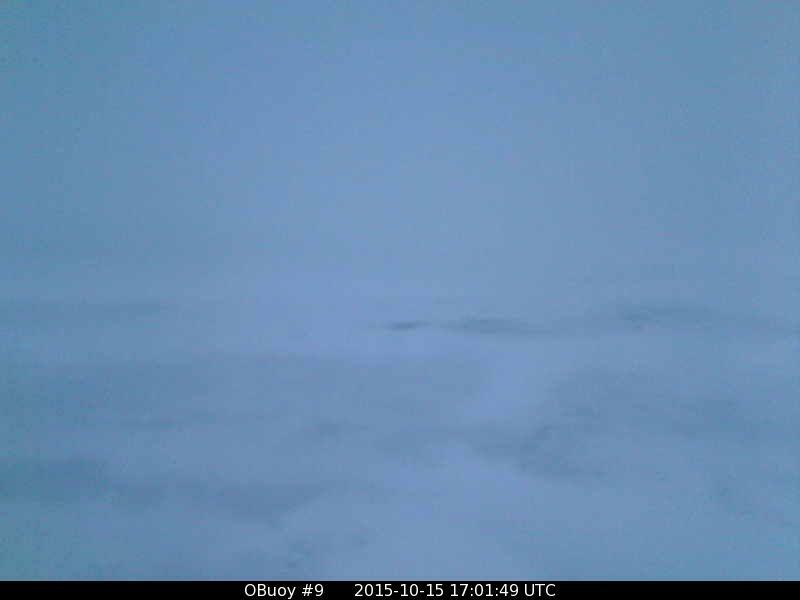 Wow, only 138 days this year (May 24-Oct 8) without a trace of snow @NWSCaribou. This is the shortest period on record! 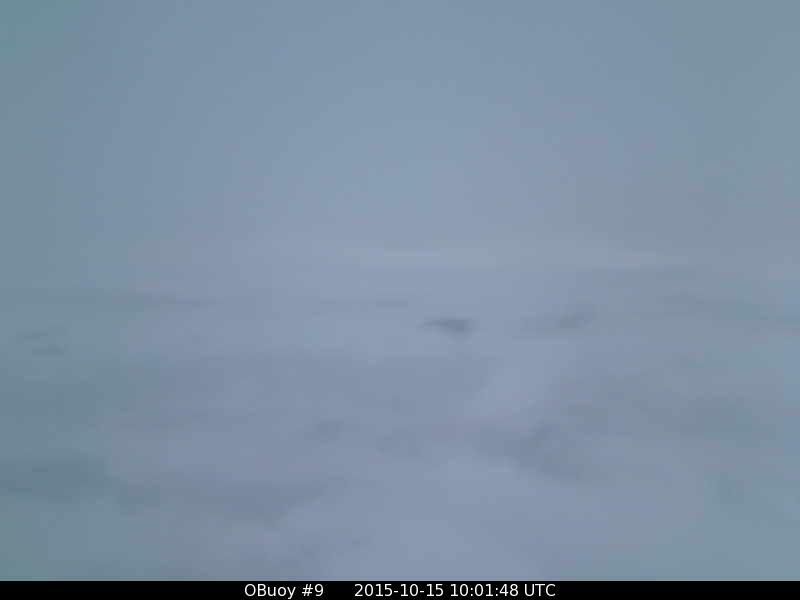 @NWSCaribou How far back do records go? 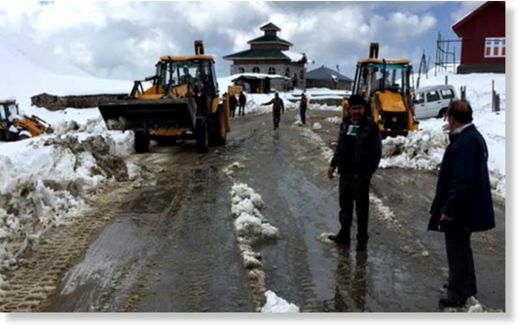 Where snow cover was established? As the darkness descends at the Pole, spreading out from 90° latitude like a black hole in the visible satellite views, the cameras start to shut down one by one, and we enter a period where our lying eyes cannot be fed with actual views. Instead we become dependent on various interpretations of satellite data, which are not always as accurate as they might be, due to biases that enter the interpretations. I won’t be too critical, for I myself could not do the amazing things scientists do with satellite data, however I do confess to being puzzled when the dame data produces differing maps. For example, there are only so many weather stations that gather data, and the various computer models are all starting out with the same data, yet even the “initial” maps, which are the starting point and (one would think) involve no theories about how heat should be handled, differ from each other. You would think they could agree about their starting point. After all, in theory even a butterfly flapping its wings can make a difference down the road. Obviously, if the initial map is different, the forecasts will be different. In like manner there are differences which even a bumpkin like myself can see in the measure of the thickness of sea-ice, where the leads and pressure ridges are, and even in which direction the ice is moving. It is for that reason it is good to double check with ones naked eyes, but from now until April we are basically blind. My main focus is the DMI maps of polar temperature and pressure, which are in some ways simpler than other maps, yet give one the gist of what is going on. Then I occasionally peruse the NRL maps of concentration, thickness, and ice-movement. There is a time in February when the sea-ice reaches its maximum extent that is always interesting, and then there is the opening of the Russian base at Barneo in late March which also is amusing, as besides soldiers and scientists it holds a fair number of slightly crazy tourists, all paying over $10,000.00 apiece just to go to the Pole and be pompous on Facebook. 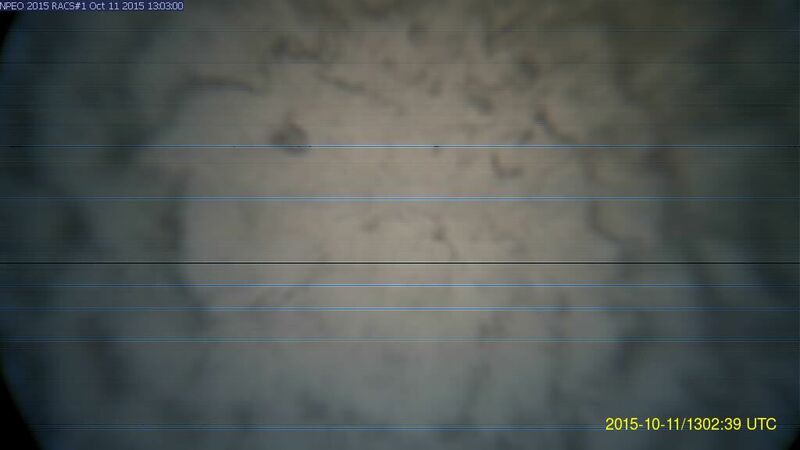 Then, in April, the frost melts from the lenses of the surviving cameras, and we can start watching ice melt again. One other event in the winter darkness is the demise of the North Pole camera, which I have dubbed “Faboo” this year. 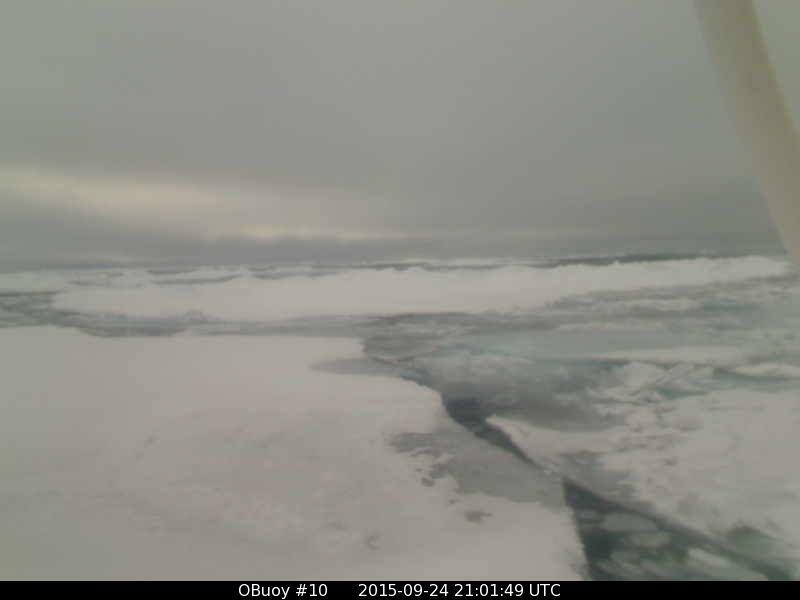 Ordinarily it is down in Fram Strait by now, and either picked up by an icebreaker or lost between crushing bergs. The weather buoy continues to report, albeit with erratic data as it hammered by Atlantic storms, and one year we followed it all the way to the north coast of Iceland, where it grounded. 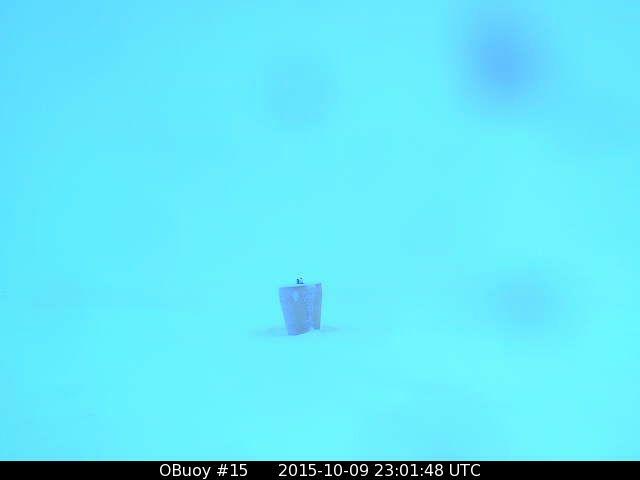 This year “Faboo” is behaving differently, as is O-bouy 9, which is further south. There has been a delay in the transport of ice down through Fram Strait to Denmark Strait, along the east coast of Iceland, and the buoys are dawdling to the north. On other years I’ve seen buoys flushed south at a rate exceeding 20 miles per day, but (so far) this year the buoys can’t even manage twenty miles a week, and at times have headed north on “wrong way” ice. (If you click the overview of O-buoys at http://obuoy.datatransport.org/monitor#overview/gpstracks you can see the location and GPS tracks of various buoys, and the map has a feature that allows you to zoom in on the track of O-buoy 9 off the northeast corner of Greenland, and see what an amazing, looping snarl of procrastination its track describes.) I’m expecting these buoys to head south through Fram Dtrait shortly, but have been expecting it “shortly” for over a month, and it has been interesting to watch the ice hesitate. The “official” data from Faboo isn’t posted until it is a day old, and it tells us that on Saturday Faboo drifted 5.01 miles southwest on winds that decreased to around 4-7 mph, as temperatures achieved a high of -3.2°C at 0300Z, a low of -8.7°C at 0900Z, and finished the 25 hour period (which ends at 2100Z for some reason) at -8.0°C. (The briefly milder temperatures were associated with a slight wind-shift and drop in pressure connected to the passage of a very weak low I dubbed “FG6.”) Unfortunately Faboo’s camera has frosted up again, and we currently only get views like this: The frost on the lens seems thinner this time, and I’m hoping it may sublimate away in cold, dry air, and allow us our finally views. For the most part all you see is darkness, and the noontime dark (the opposite of midnight sun) arrives. Roughly 315 miles south of Faboo O-buoy 9 is wandering southwest in a brisk but decreasing breeze of 13 mph, with temperatures down to -8.0°C after a thaw late last week. When looking at the picture remember that the buoy was drifting about in a Polynya of wide open water in late August, and made it as far south as 79.4° latitude. The last storm blew it north of 80°N, and now it’s just crossed 80°N heading south again. 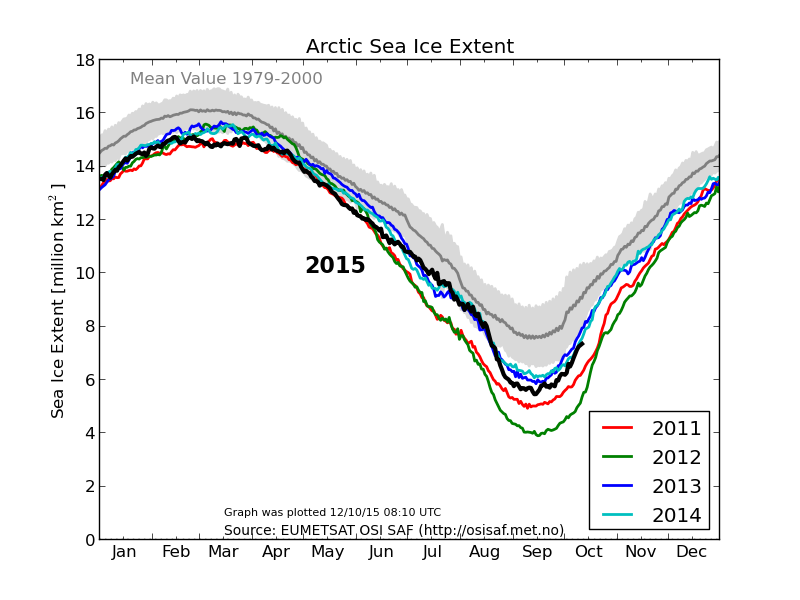 Despite the fact the ice is moving en mass, it looks increasingly solid. If you have any spare time, you should watch the time lapse movie made up of these pictures at http://obuoy.datatransport.org/monitor#buoy9/movie. Around the 24 minute mark you can start to see Greenland in the distance, and around the 30.30- 31 minute mark you can see Greenland a final time. 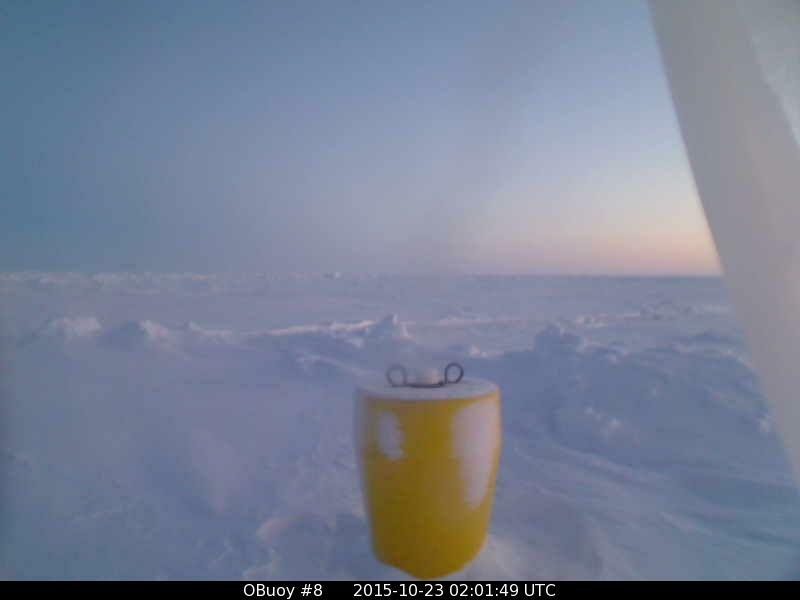 Then the battering this buoy survives in the sea ice is amazing. Also of interest is how dirty some of the sea-ice is, due to soot, volcanic ash, and algae that grows on the bottom of the ice. 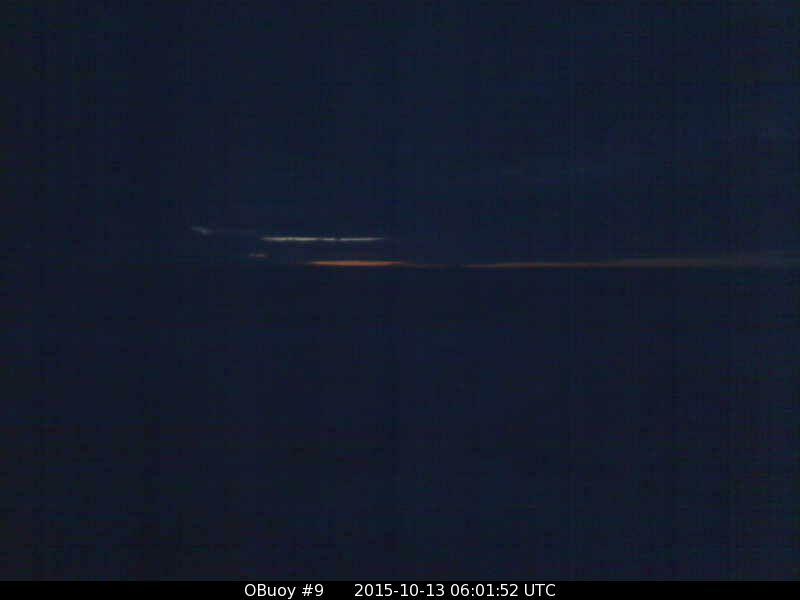 O’ll hopefully cover )-buoys 8b, 13, 14 and 15 later, but they are in darkness now. I have to be on my toes to capture their pictures now, as daylight dwindles. It is interesting that the dark isn’t immediate, for there are long periods of twilight and dusk. Lastly here are the recent DMI maps, which I hope to find time to cover later. “Nairzeetoo” continues to weaken in the East Siberian Sea, with its inflow from the Atlantic now stretching over a thousand miles, shaped like a question mark, north to Svalbard and then to Franz Josef Land and then along the Siberian coast and then curving north and into the center of the low. Most of this mildness is over on the Wurasian side of the Pole, as the North American side grows quite cold in the wake of Nairzeetoo’s passage, with the minus-twenty isotherm appearing in Nares Strait. “Nuhi” is the high pressure growing behind the storm, separating Mairzeetoo from “Stukky”, which is curving northeast from Iceland to Svalbard. What will be intersting to watch is the southwest flow behind Nuhi, as it shifts east. 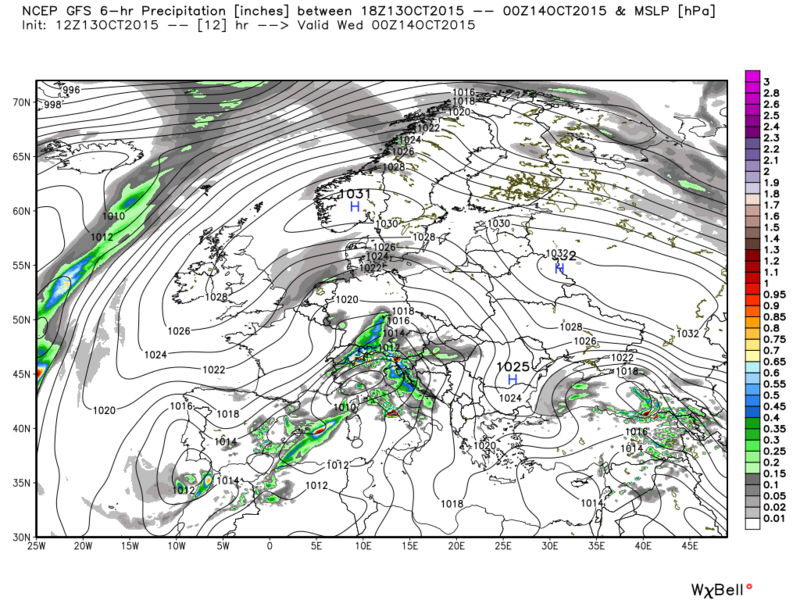 Some models see it extending down into Fram Strrait and another “wrong way” flow developing by next week. What models do not see (which surprises me) is this southwest flow clashing with the very cold air in place north of Greenland, and developing a third Nares Strait Storm, like Nairzy and Nairzeetoo. “Looter” continues to mill around south of Bering Strait, as what is left of the high pressure CPR hangs tough over Scandinavia. “The Slot” was my name for a sort of “lagoon” of open water that formed in the Beaufort Sea late last summer, largely bounded to the south by a long “reef” of sea-ice between it and the open waters along the shores of Alaska and Canada. To have this open water existing as a separate entity must have thrown a wrench in the ordinary flow of water between the warmer coast and the colder, ice-covered Pole, though I have no data to support any of my surmising. 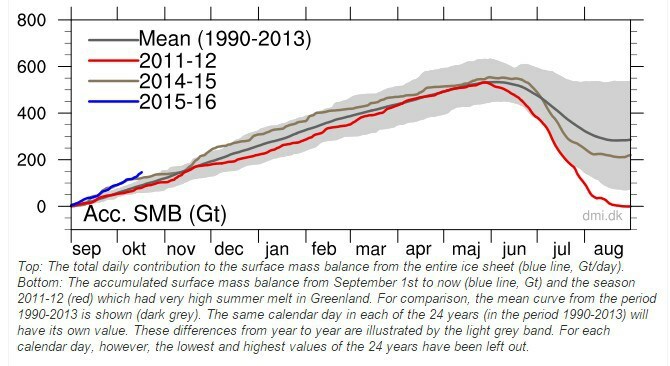 The ice-models persistently predicted the reef would melt away within five days, but the reef persistently persisted. When it did vanish in places the refreeze was already underway, and it seemed to be dispersed by strong winds more than melted. I was keeping a careful eye out to see if it reappeared, which would suggest it never entirely vanished. Why would it suggest this? Because sea-ice doesn’t like to form in truly open waters, and prefers to extend out from the edge of preexisting ice. (In the cases of flash-freezing the “edge” can be as tiny as a fleck of frozen spray landing and floating on the surface, acting as a sort of deed-crystal. Without such an “edge” the chilled water simply becomes denser and sinks out of contact with the chilling air.) This early in the season temperatures are not cold enough for much flash-freezing, and therefore the reappearance of the “reef” would indicate bits of slush and small chunks of ice remained, unseen as ice-above-15%-concentration, but a “reef” all the same. And here’s where it gets interesting, because the NRL lab did not see the reef reappearing as the lagoon froze over as of October 10, while as of October 12 the Canadian Ice Service map did see the reef reappear, (upper left of their map.) So I guess you can chose whichever map best serves your particular politics. In any case, I hypothesize that the “lagoon” represented a large area of water subjected to not unnatural warming sunshine, but rather to unnatural cooling, this summer. I suggest this because our lying eyes could see from now-defunct buoys that it was seldom sunny, and that the salt water skimmed with ice during cold spells even in July. The greatest loss was O-buoy 10, which last reported from roughly 75.1° N, 140° W, which some maps showed as open water, when our eyes could see plenty of bergs and slush. In fact its last picture showed no open water at all, except in the far upper left distance. The NRL map now shows that same area of the former-Slot now covered with between six to twelve inches of thin “baby ice”, but I suspect there is a fair amount of thicker ice mixed in. But then, I am a suspicious sort of fellow, at times. It doesn’t matter how thin the ice is. Once it is dry enough to be seen by the satellites it is included in the ice extent graph, which can be seen growing with great swiftness, despite the rushes of thawing air towards the Pole on the Atlantic side. Likely a lot of this growth is due to The Slot filling in, in the Beaufort Sea. You can see how quickly it happened in this Canadian Ice Service animation (currently showing Oct 3-12, though it may automatically update and show something different a week from now.) (“The Slot” is to the upper left). Faboo continued southwest another 8.18 miles to 84.419°N, 3.786°W. A light breeze gradually stiffened from 8 mph to 19 mph, as temperatures fell from a high of -8.0°C at the start of the period to a low of -13.6°C at 0900Z and then -13.6°C again at the very end. 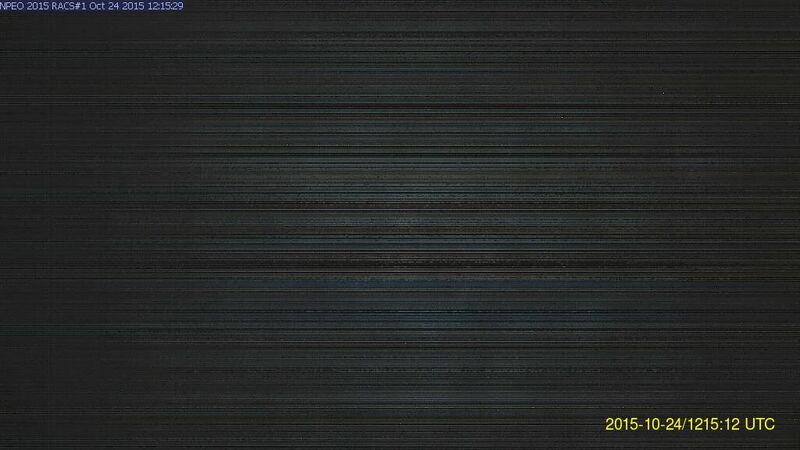 The camera was having trouble transmitting pictures. I have been calling the buoys over towards Bering Strait “The Beaufort Buoys”, but they more accurately should be called the “Basin Buoys”, as they are north of the somewhat vauge boundary between the various “Seas” and the “Central Arctic Basin”. 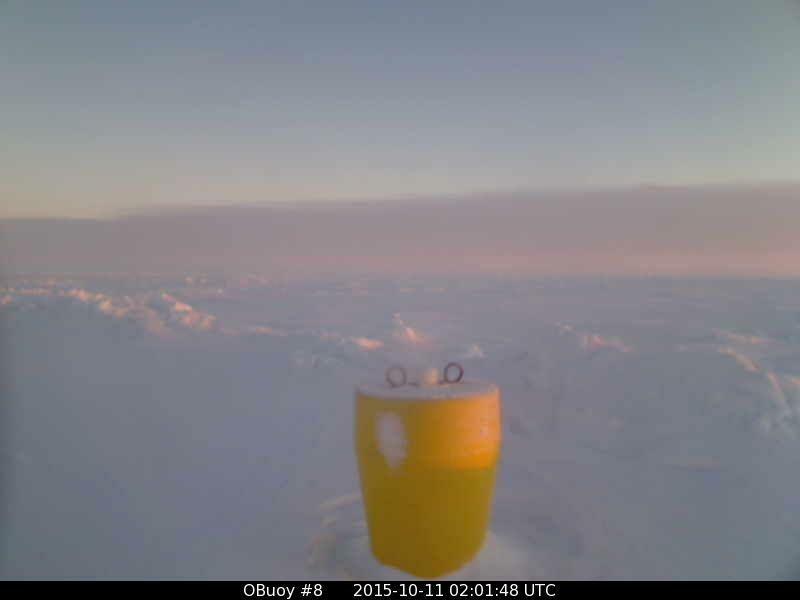 (Also I was confused at first by O-buoy 8b, as I thought it was at 140°W when it was at 140°E.) The four buoys currently functioning over there are strung like pearls on a necklace, all between 78°N and 82°N. Furthest east is O-buoy 13 at 140°W, north of Canada and west of the Canadian Archipelago. It’s starting to get stuck in winter cold, with temperatures between -10°C and -20°C, and winds currently light. It’s been hard to save a daylight picture, as days are swiftly becoming quite short, and I’m usually working when it is day there. 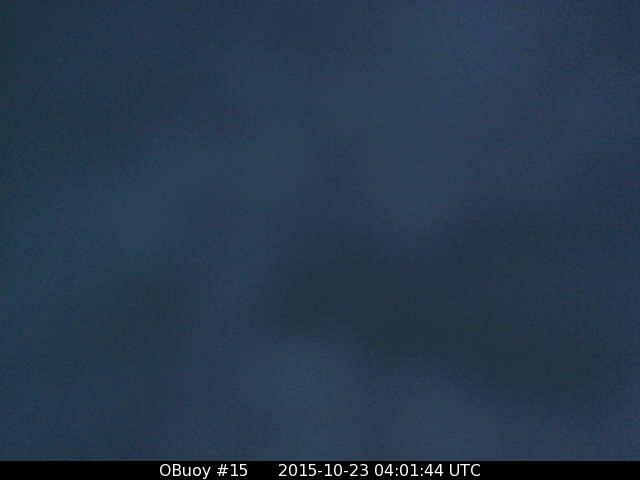 O-buoy 14 is further west, and a little north, at 147°W, which places it north of Alaska. 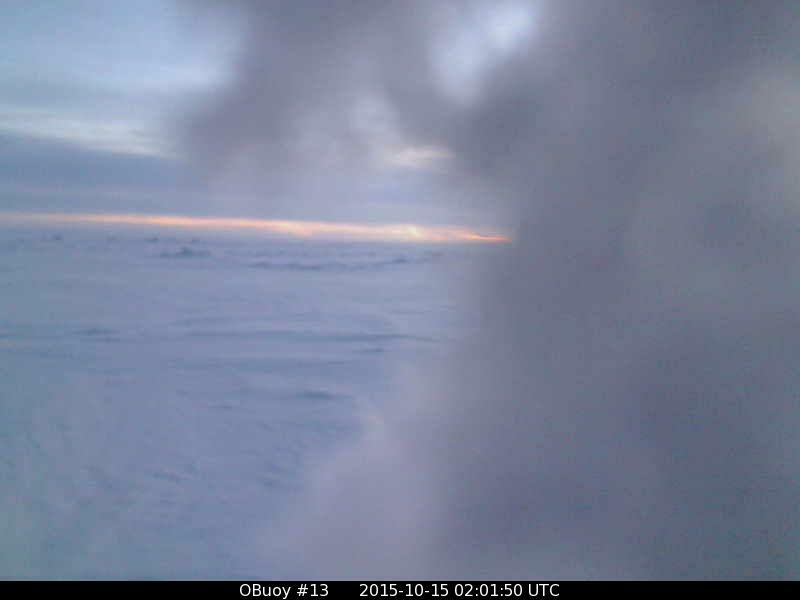 Currently it is experiencing light winds and temperatures crashing below -20°C. Despite its relative closeness to )-buoy 13, the weather can be quite different, as was the case recently with lows passing over the Pole to Siberia. We pass the dateline to arrive at O-buoy 15, which is at 171°E, which places it north of Wrangles Island, and the boundary between the Chukchi and Eat Siberian Seas. For some reason its camera tints everything a bit blue, it seems. Sunday it experienced a “warm up” to -5°C (if you can call that warm), but since then has seen temperatures fall back to -15°C. 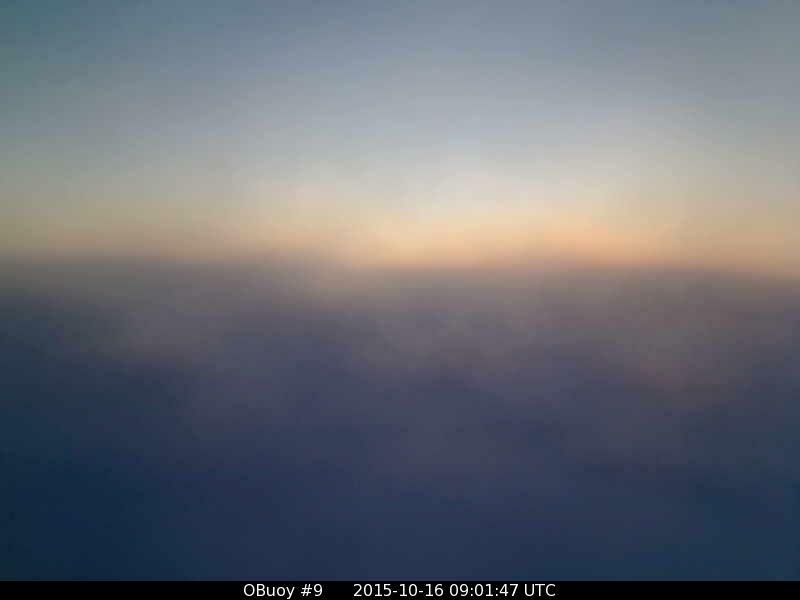 A stiff breeze is blowing at 22 mph, with snow or ice fog, likely associated with “Nairzeetoo”. O-buoy 8b is located north of the Laptev Sea at 149°E. 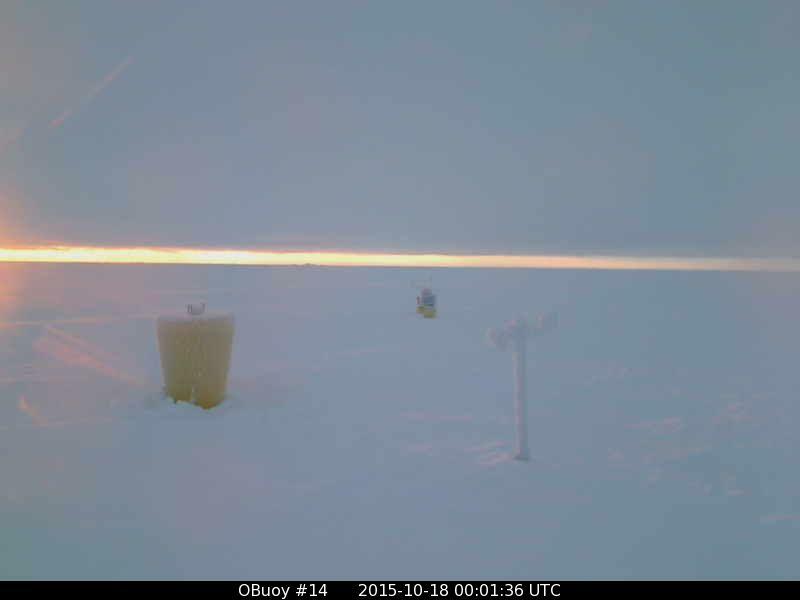 Currently it is experiencing temperatures dipping to -17°C, and winds between 10 and 15 mph. 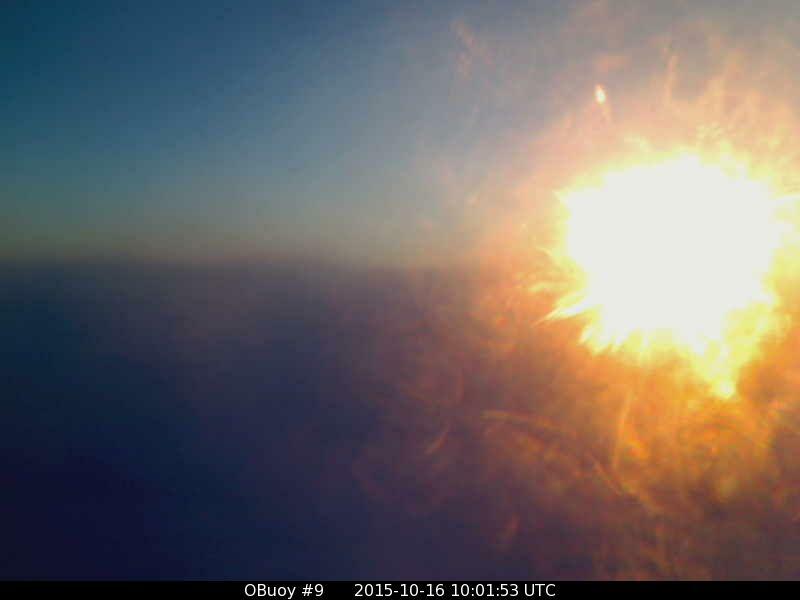 Its lens appears to be frosting over. Srukky weakened swiftly over Svalbard, allowing winds to slacken in Fram Strait. Nuhi dominates the Pole. Stukky drifting east, much weakened. Southerly flow down in Denmark Strait but disorganized flow in Fram Strait, with east-to-west flow just north of it. Light winds and temperature dipping to -10°C. Ice is not moving much, except east to west and back with the tides. 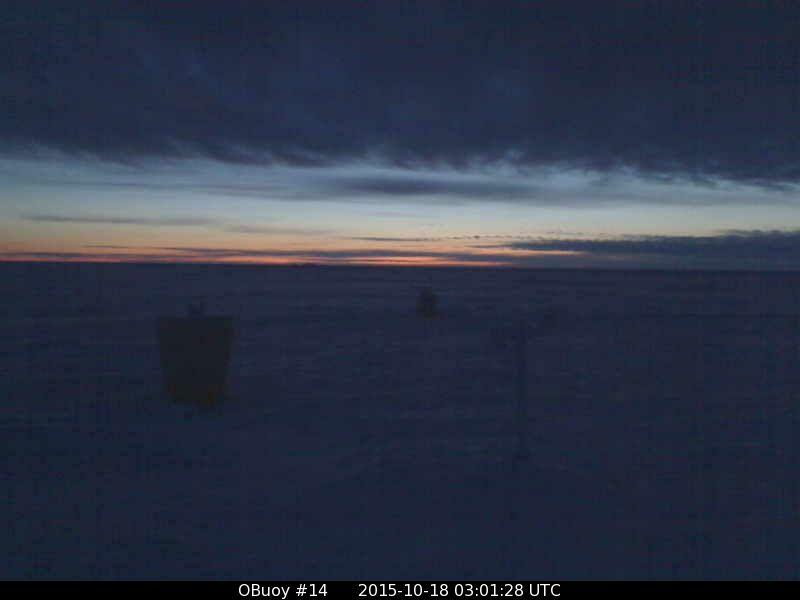 There are still no updates from the Mass Balance Buoy 2014D co-located with Faboo, so we are doomed to be a day behind. Yesterday Faboo resumed a “wrong way” drift slowly to the northwest, ending the period at 84.424°N, 5.755°W, which was 5.29 miles the wrong way, if we intend to get down into Fram Strait. Temperatures were relatively mild, with a low of -8.7°C at 0600Z and a high of -5.4°C at 1800z . Breezes continued to slack off, from around 10 mph early to around 5 mph late. And, because the lens of our faithful camera continues to be blinded by frost, that is all the news we have to offer. “Fling” continues to hug the coast of Greenland, which keeps the southeast flow going in Fram Strait. As soon as Fling makes a move towards Svalbard, winds will swing around to the north and ice will move the “right way” in Fram Strait. As we have watched O-buoy 9 this summer and fall it has been obvious less ice than normal is being flushed south through Fram Strait. In fact one might be tempted to say no ice has been flushed south at all, however in the NRL extent map it appears ice has been moving down the coast towards Constable Point at Scoresbysund, where the east coast of Greenland bends southwest towards Denmark Strait. Ordinarily the sea-ice would be already sweeping past Scoresbysund, and on some years it extends all the way down to Cape Farewell at the bottom of Greenland. This year is is slow to progress south, and much of that progress is an illusion, as can be seen when you look to see how thick the ice is. 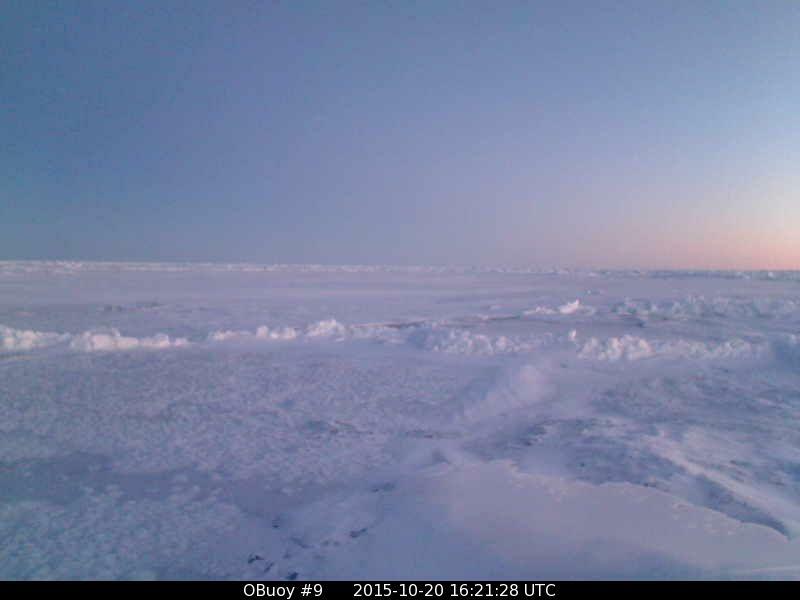 The fact much of the ice is tinted lilac means it is less than a foot thick, and in fact is home-grown baby-ice, like the ice we have seen grow about O-buoy 9 even as it failed to move south. Despite the south winds we have seen surge north by O-buoy 9, there has been enough cold air about to grow ice, and this same phenomenon occurs close to the coast further south. 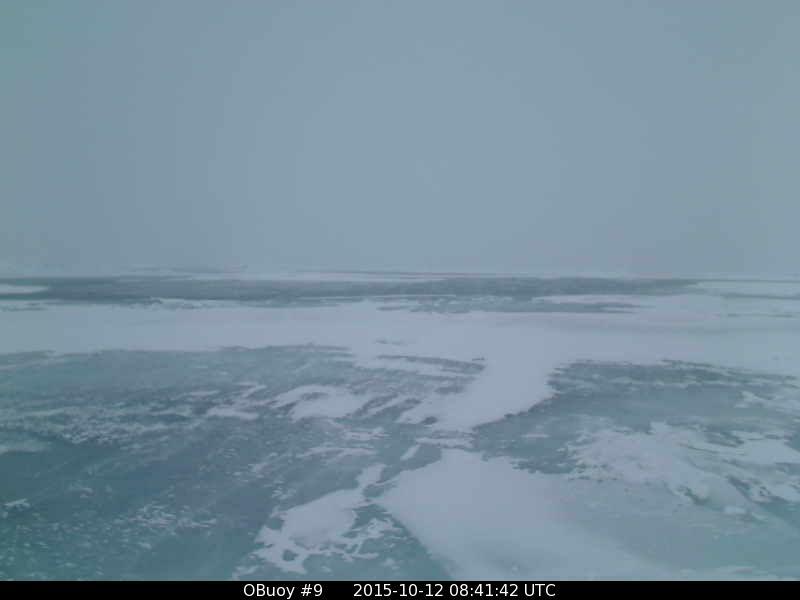 The ice is not in fact moving south, but is forming along the shore and extending outwards. It may contain a few larger bergs that calved off east-coast glaciers, and perhaps a bit of thicker sea-ice from the north that sneaked past the blockade that has captured O-buoy 9, however for the most part it is thin baby-ice. What this means is that once the more normal winter flush of ice southward begins, (as I suspect it must), the initial ice will be thin and, when exposed to Atlantic gales, prove to be frail and easily demolished and turned into swiftly melting slush. It will not travel too far south as ice, obeying the laws of ice, but rather will become water, and obey different rules. Once we are talking about water of differing temperatures and different levels of salinity, it becomes possible, (or is within the realm of possibility), to create a model that can guess how the water will stratify into various layers, and which water will rise and which water will sink. As a rule colder water sinks unless it is nearly fresh water. Arctic water is somewhat less saline, but tends to sink, according to models and some observations, at various places off Greenland’s east coast. However this is not something you can depend upon, because you cannot depend upon the water always arriving in its liquid state. If the water arrives as ice it can merrily go bobbing over the place where the models state the cold water should sink, and continue south on the surface. This utterly screws up the models. Once you have ice heading far south of where cold water is suppose to be, at the surface, then you have surface water being chilled by that ice far south of where surface water is suppose to be chilled, This creates places where cold water may decide to sink far south of where it is suppose to sink, and all the nice, neat maps of ocean circulation need to be rewritten. On one occasion, (I think it was in 1817), so much ice was flushed south of Fram Strait that the Arctic Sea was ice-free in places that usually have ice, but the North Atlantic was dotted with bergs where bergs are usually never seen. Ice even grounded on the coastline of Ireland, and the Atlantic was so chilled by all this ice that Europe experienced “a year with no summer”. While I expect no such drama, as the “warm” AMO shifts to a “cold” AMO, it does occur to me that we should not expect the ocean’s circulation patterns to remain stagnant, as if they were written on stone, but rather should be on our toes, and be ready to see the variations one might expect in a pattern that is not a straight line, but rather a cycle. 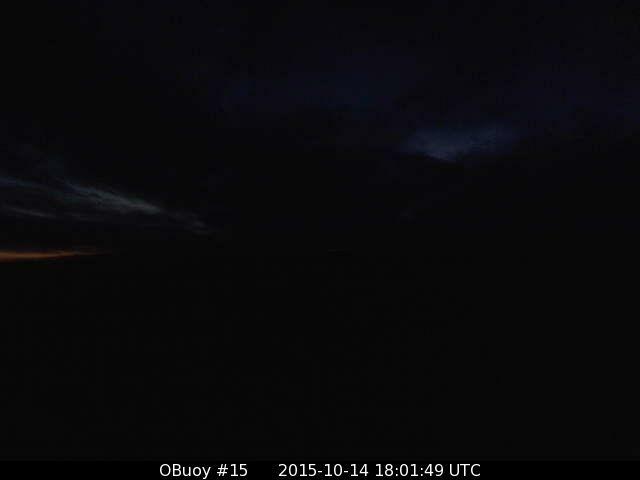 O-buoy 9 has seen night descend, and the camera sees only black, Temperatures are dipping below freezing after touching thaw briefly yesterday, when winds roared up to 35 mph for a time, before falling back to 10 mph now. The ice did not seem to move north much, and may now be moving south again. 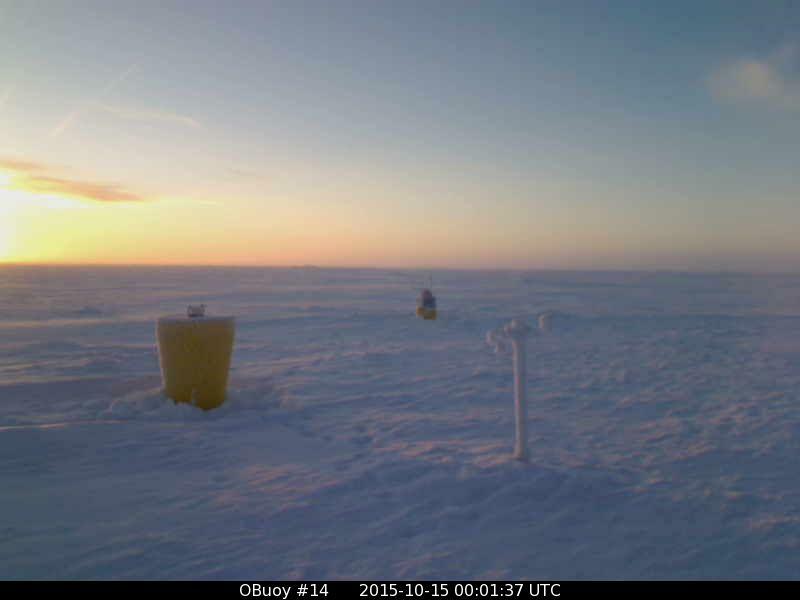 O-buoy 13 has seen a brief daylight of bitter cold, with temperatures level at -20° and winds dropping to so slow that the anemometer may have been frosted to a halt by hoarfrost that now nearly covers the camera lens. O-buoy 14 is a little further north and sees even a shorter day, and saw even colder temperatures dipping below -25°C, as winds were nearly completely calm. 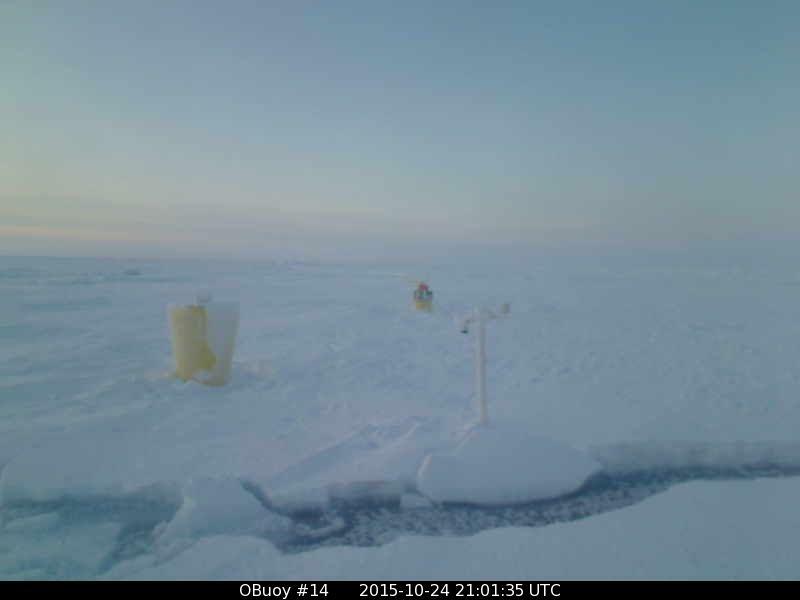 O-buoy 15 is further west and sees a later sunrise, and also has seen very cold temperatures struggle to get above -20°C, though the breeze is stronger, and in the 10-20 mph range. O-buoy 8b is so far west it is it is in the other side of the planet, and I cannot catch its brief daylight unless I get up in the middle of the night to use the bathroom. Unfortunately even when I make these midnight efforts, the lens is obscured with frost. It has seen temperatures struggle up to -13°C in a breeze of around 10 mph. All in all the buoys suggest that, despite mild Atlantic air pouring north, the polar cold is building. Fling hasn’t moved towards Svalbard, and instead seems to be filling and weakening. The flow in Dram Strait seems to be east to west. Mini-low is north of Nares Strait. Nuhi is weaker, over northern Kara Sea with weak ridge extending towards Canada, which promotes cross-polar-flow from Svalbard to Canadian Archipelago, and also export of cold air down into Russia on the other side. Over in East Siberian Sea Nairzeetoo continues to slowly weaken, and has kicked a weak low east north of Alaska. All in all everything looks weaker and less dynamic, as if the weather is pausing and thinking up the next surprise. I imagine the winds are swinging around to the north, as they slowly pick up from 5-10 mph to 10-20 mph, because the temperatures have steadily dropped to around -8°C. However the camera is giving me no help, as I’m nit sure what to make of these pictures. I was wondering if the buoy had fallen over and was looking at the sky, but the features it sees don’t change as clouds would. Hopefully some sunshine will cast some light on the subject. Faboo drifted steadily west, and as far north as 84.483°N at 1500Z yesterday, before wavering south slightly and finishing the period at 84.481°N, 6.137°W. This moved us the “wrong way” another 4.68 miles, and placed us as far north as we were a week ago. Winds were light, between 2 and 5 mph, throughout the period, and the temperatures continued mild, considering the late date and how far north we are. Our high was -4.4°C at midnight, and our low was -9.3°C at 1500Z, rising back to -7.5°C at the end of the period. While it is below normal over a lot of Europe, the export of cold air has left the Pole above normal, which may hint at a meridional pattern for the winter. TGIF. It’s been a true work week, with true work, which means there is not much left of my brains when I get home. Or perhaps I should say my brains are there, but in a sort of delirium of exhaustion wherein I make all sorts of highly inventive and creative mistakes no true meteorologist would ever make, such as having high pressure systems rotate counter-clockwise in my my mind’s eye. After looking at maps in this manner for about five minutes last night I threw up my hands and went to bed, which is where brains belong when they are that dreamy. This morning I have the feeling I have missed something, which is likely the truth. A true meteorologist makes maps his primary concern, and likely has a hard time taking time off for his or her honeymoon, because he or she doesn’t want to miss anything. However for me srudying maps is, I suppose, a hobby, even if it is a bit obsessive at times. So I do miss things, and often face maps with a sense I am being baffled. “CPR” has slouched to a banana high, oriented east-west over Europe, with Europe concerned with snows and cold in the east winds to the south of the high, which is off our map. We only see the north side, and west winds over the top of Scandinavia, which is a situation which can make the north coast of Norway milder than the Mediterranean mountains of Italy. Meanwhile the second high pressure, “Nuhi”, has cruised across the Pole to Severnaya Zemyla, (which are the islands separating the Kara and Laptev Seas.) Between these two highs the low “Fling” has reintensified east of Svalbard, yet there is not the northerly flow I expected behind this storm in Fram Strait (or not as much) because no strong high pressure built over Greenland. Instead the low pressure extends through Greenland to a second low I’ll call “Flingson”, which Fling left behind when it transited Greenland. North of Fling and Flingson is a cross-polar-flow from Siberia to Canada. This flow is interesting to me because it is liable to wind up in my backyard. The weak ridge of high pressure extending behind Nuhi to Alaska attaches to high pressure extending up the Rocky Mountains of western North America, and the east side of that ridge is bringing cold air south from the Pole. In other words, the exports of Arctic air have shifted from down into Siberia (and then east into Europe) to down into North America. This shows up clearly when I cheat a little, and break my own rules about sticking to surface maps, and peek at the 500 mb map of North America. The ridge in the west and trough in the east clearly has a flow from northwest down to my last surviving tomato plants. Fortunately these superb Dr. Ryan Maue maps from the Weatherbell site have an option that allows you to peer ahead into the future, (or at least into what the models think the future will be), and it seems the pattern isn’t going to lock in. In the winter of 1976-1977 a pattern like the above map’s locked in early, and didn’t relent until February, and gave us a brutal winter. 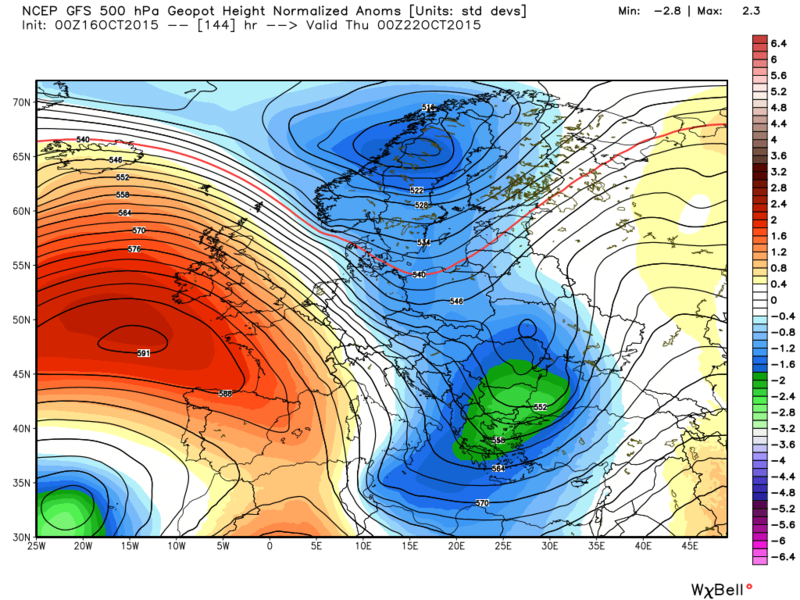 The current pattern will give us a brutal blast, but then the trough will lift out. The pattern is transitory. One interesting thing the GFS model foresees is that the transitory nature of the pattern will completely erase the mild flow over the top of Norway six days from now, and dig a deep trough down into Europe, delivering cold Maritime air from Svalbard, rather than the cold air from Siberia. With these outbreaks robbing the Pole of its banked cold, the Pole will likely continue to be milder than normal. What will be interesting to watch is whether the imports of milder air continue to delay the exports of sea-ice down through Fram Strait. 1 hour later: Well, the lens isn’t clear, but the picture is sort of wonderful, all the same. Off to work. Yesterday Faboo continued its slow drift the “wrong way”, though he/she showed some signs of hesitation at the end. Faboo reached 84.507°N at 1500Z ,before backing WSW slightly to end the day at 84.506°N, 6.742°W, which was another 4.36 miles away from Fram Strait. Winds were light, and the anemometer may have frosted up at the end. Temperatures rose from -7.5°C to a first high of -2.3°C at 0600Z, then fell to a low of -7.9°C at 1500z before rising again to -3.2°C at 2100Z, to end the report. 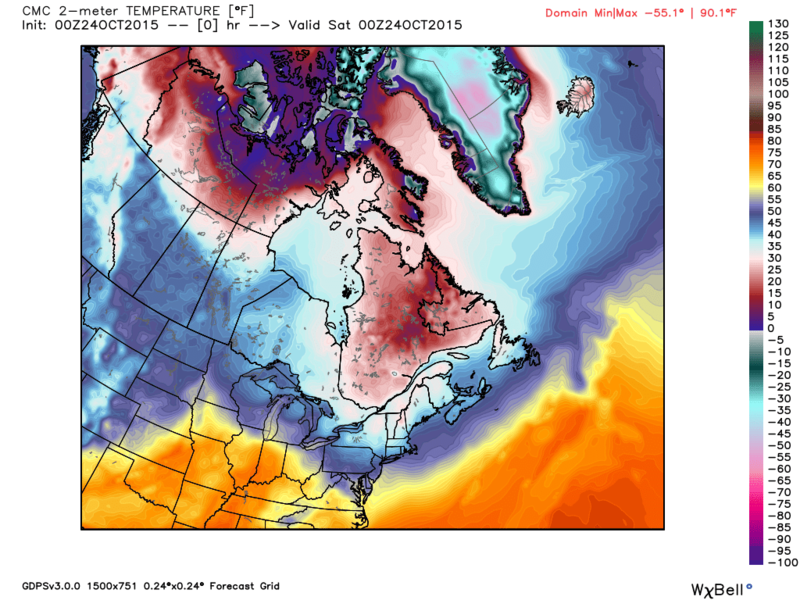 This odd little ripple in temperatures suggests a polar micro-front wafted by, as does the change in ice-movement. Sorry I forgot to click the “Update” button and post the morning maps, and haven’t had much time to focus on the arctic. The arctic is here in New Hampshine, with wet snow falling this Saturday evening, and I’ve had to do some hustling. However now I have time to look at the maps, and right off the bat notice the low pressure just north of Nares Strait, right where I was thinking a low might form, earlier in this post. However I can’t truly take credit for a correct forecast, because the mechanics of that lows formation are a mystery to me. I merely felt the warm air could not be driven against the cold air, noeth of Greenland, without a low forming, however the engineering of this event has taken twists and turns that basically baffle me. To some degree the low pressure left behind in Baffin Bay, when “Fling” underwent morphistication and transited Greenland, seems to have oozed north and added enough enegy to the mess north of greenland to form a low. Therefore, because I called the left-behind low “Flingson”, I guess I should say Flingson has moved north and is now north of Nares Strait. 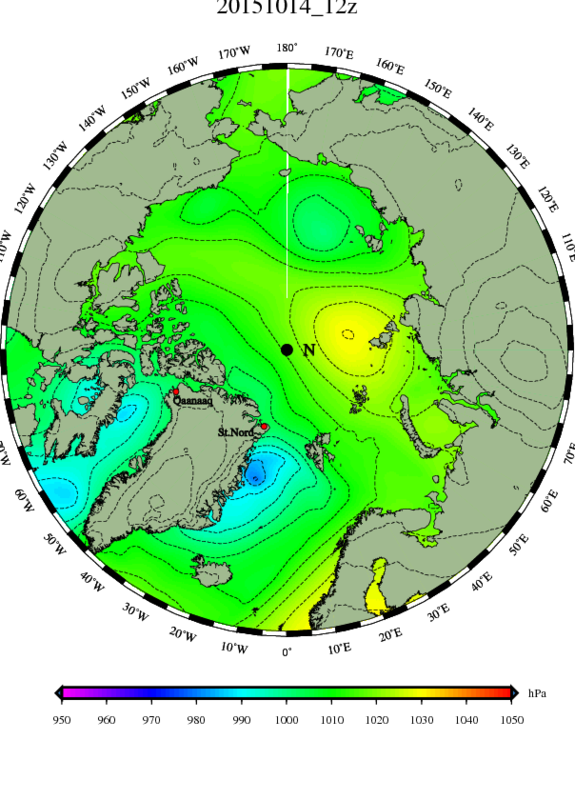 It is part of an odd wall of low pressure expending all the way through Svalbard to Nova Semyla (which is the extention of the Ural Mountains out into the Arctic Sea, and separates Barents Sea from the Kara Sea.) This trough is different, in that usually there is a gale center and a high pressure that create a strong flow south though Fram Strait, but instead we are continuing to see light winds that are often “wrong way” winds. I likely will conclude this post and start a new one tomorrow. Fling has been flung across the Atlantic to the southeast corner of Barents Sea, as Flingson is left behind and mills about north of Greenland, apparently inducing a light “wrong-way” flow in Fram Strait. Down between Iceland and Greenland in Denmark Strait a weak low is forecast to be the first of several that take a northern route across the Atlantic, between Svalbard and Norway into Barents Sea. This should get the northerly flow going in Fram Strait, but I’ve been saying that for over a month now, and one way or another the flow in Fram Srait has remained weak and confused. The long range maps make it appear the northly flow should get going, but I’m going to keep watching Fram Strait carefully, as I think the models are based on a “norm” that simply isn’t happening. The high pressure at the very bottom of the map is what is left of CPR, now greatly modified, and seemingly on its way to merging with the Azores High. It seems ironic that high pressure that began over the Pole might wind up part of a high pressure known for balmy breezes. 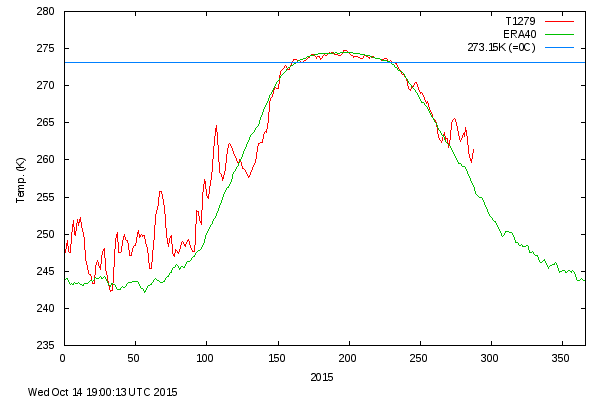 “Nuhi” continues to sit over the Laptev Sea, and the gradient between it and Flingson is drawing above average “warmth” up over the Pole. (“warmth” means -10°C, which may be ten degrees above normal but still freezes salt water.) This spear of mildness is turning the colder temperatures into a sort of horseshoe shape, and we are witnessing a situation where the temperatures north of 80° latitude are warmer than those between 75° and 80°. 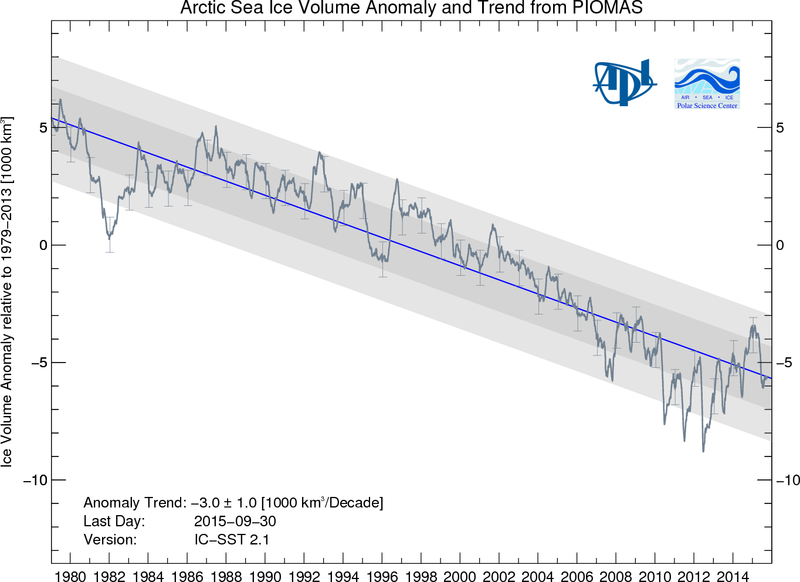 I think it has been the failure of ice to be exported south through Fram Strait that is causing the PIOMAS vilume anomally graph to turn up from its yearly low at a higher level, for the third straight year. 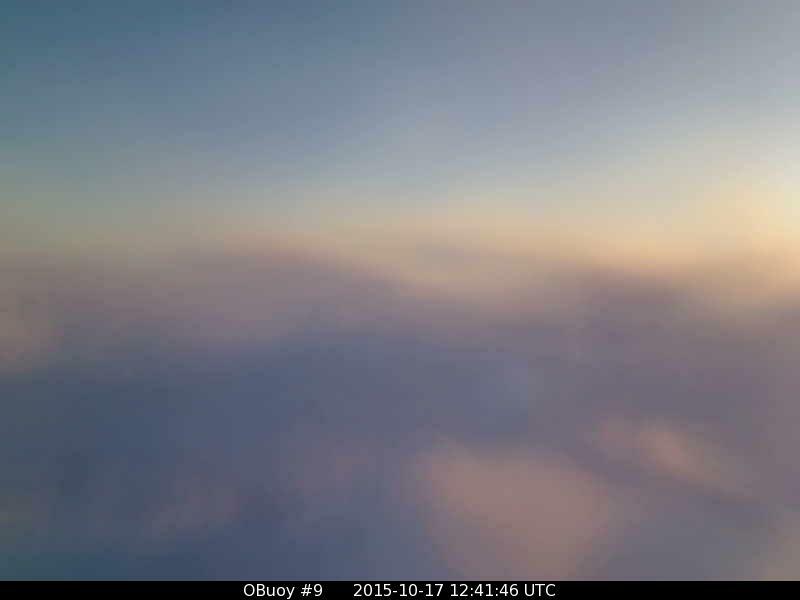 We continue to get no news from Faboo, and O-buoy 9’s view from Fram Strait continues bleary, as it continues slowly east with 5 mph winds and temperatures rising to -10°C. 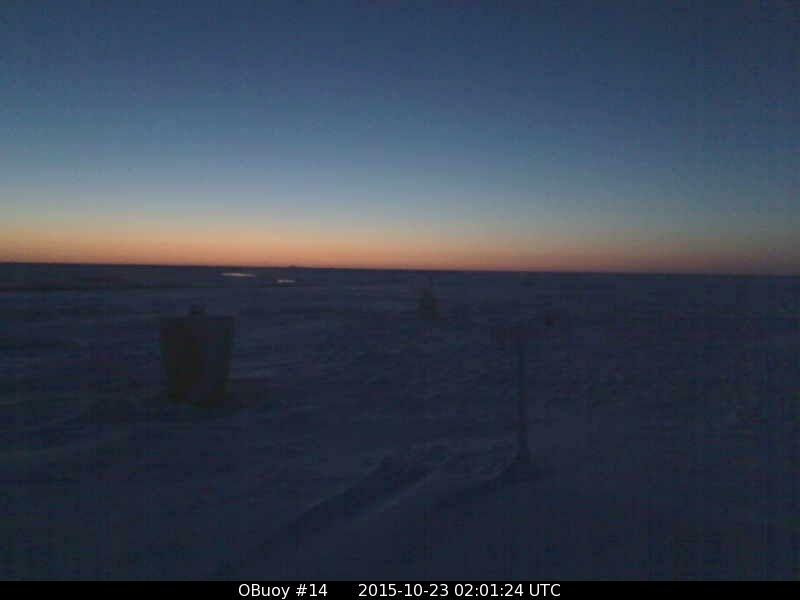 The best picture, of yesterday’s sunset, continues to come from O-buoy 14, where temperatures are dipping to -17°C. No reports from Faboo. I’ll start a new post soon.